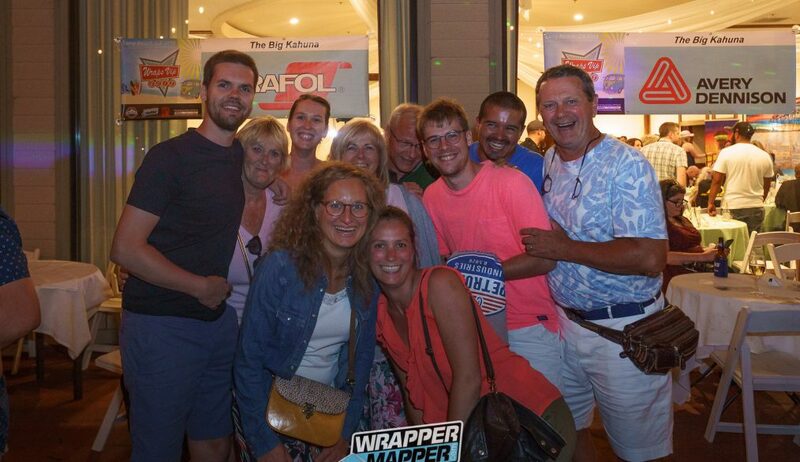 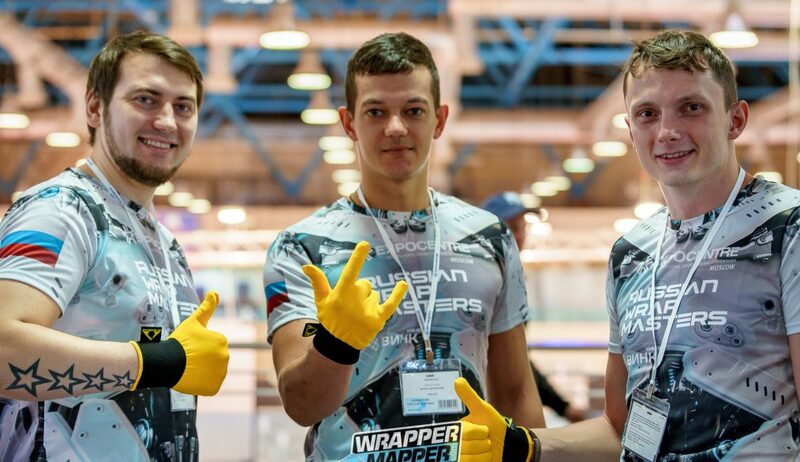 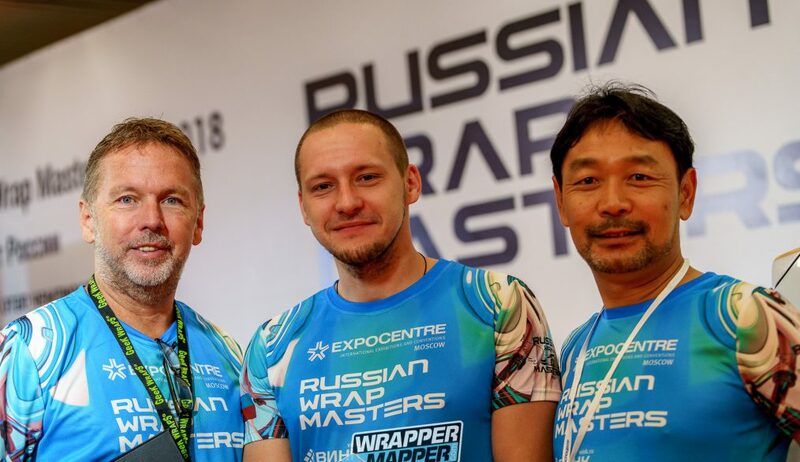 Red Square, The Kremlin, Saint Basil’s Cathedral, Lenin’s Tomb… all iconic images of Moscow Russia but none can compare to the smiling faces saying “Dobroye utro” (Good morning) every day as we walked into the Moscow Expocentre for the 2018 Russian Wrap Masters. 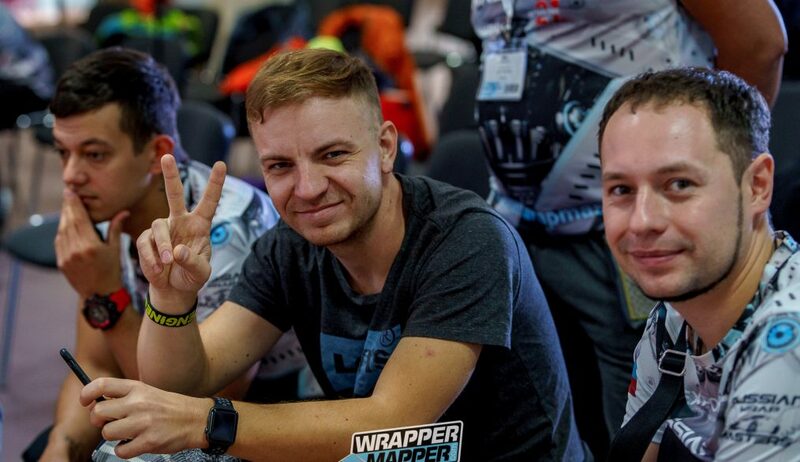 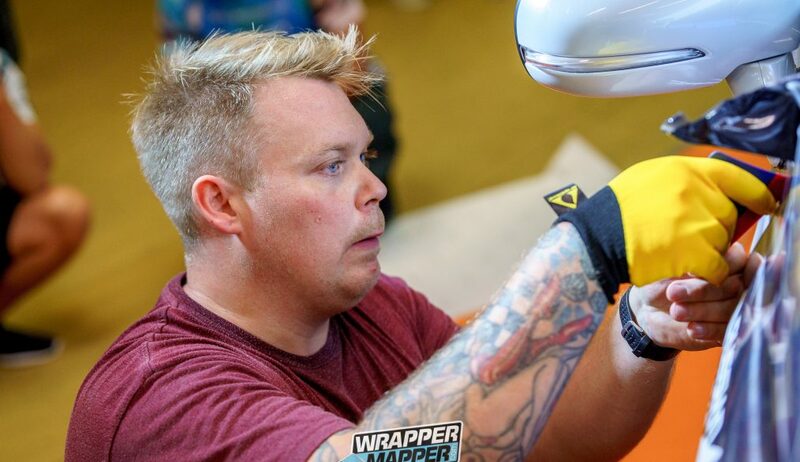 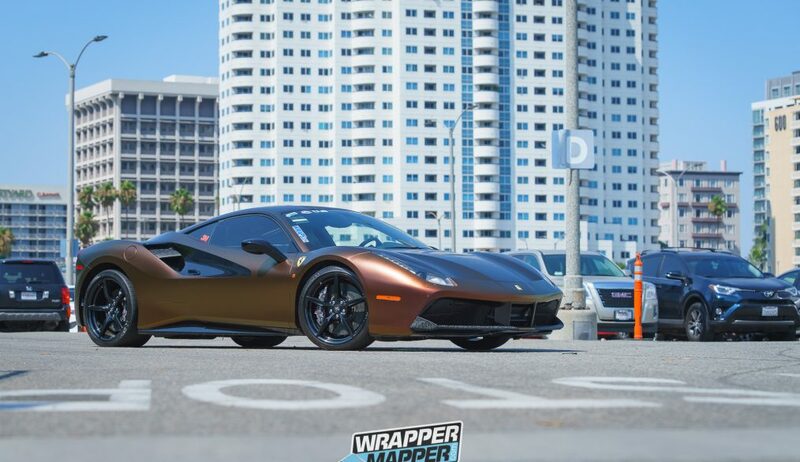 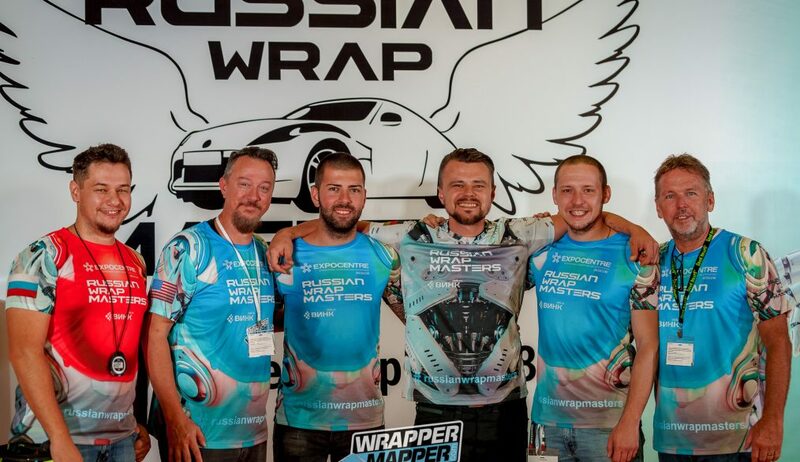 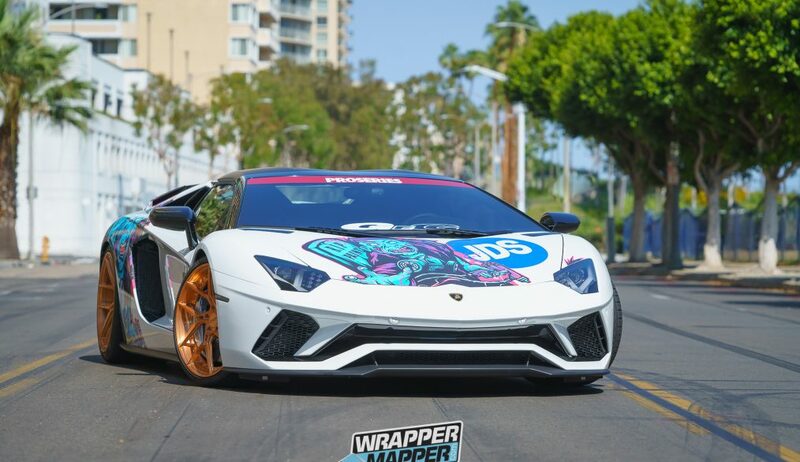 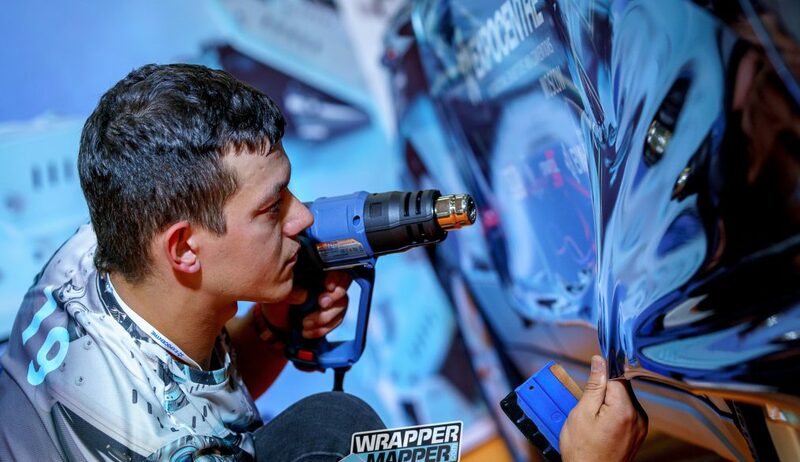 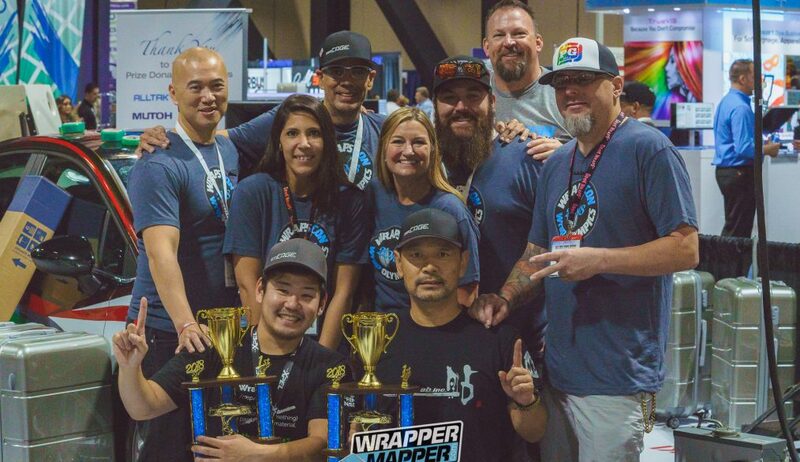 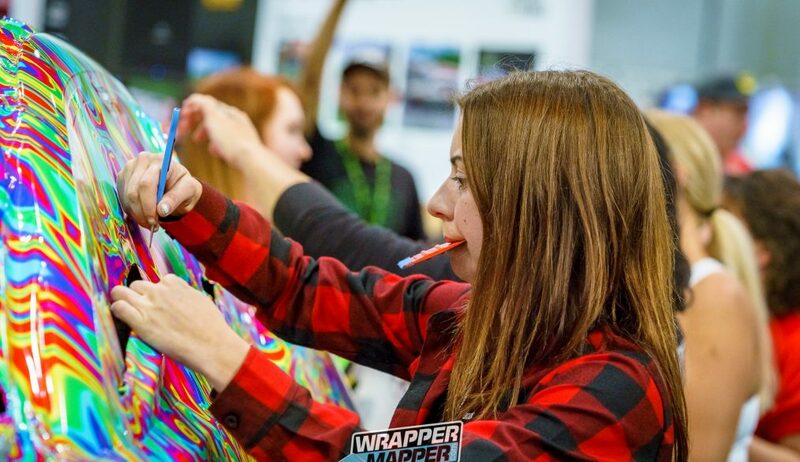 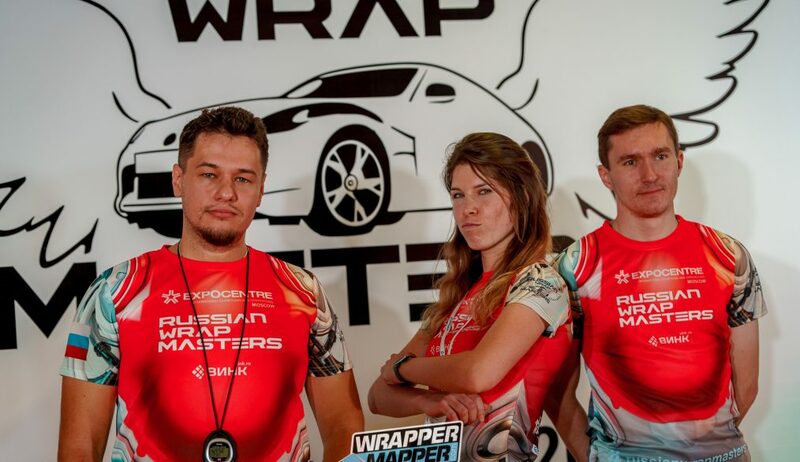 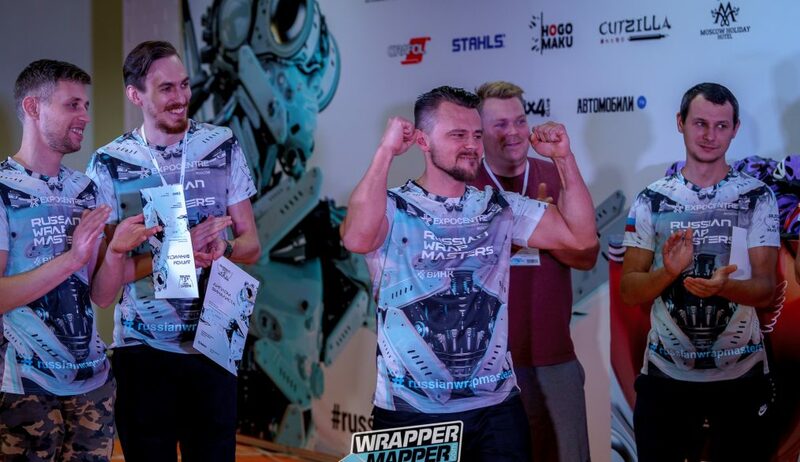 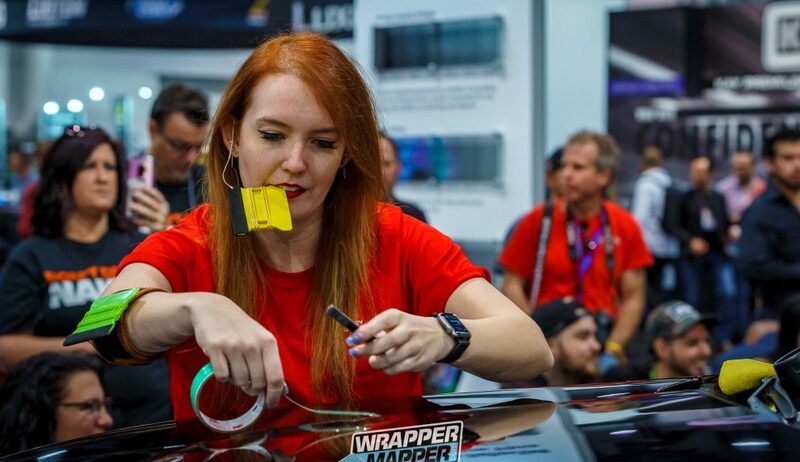 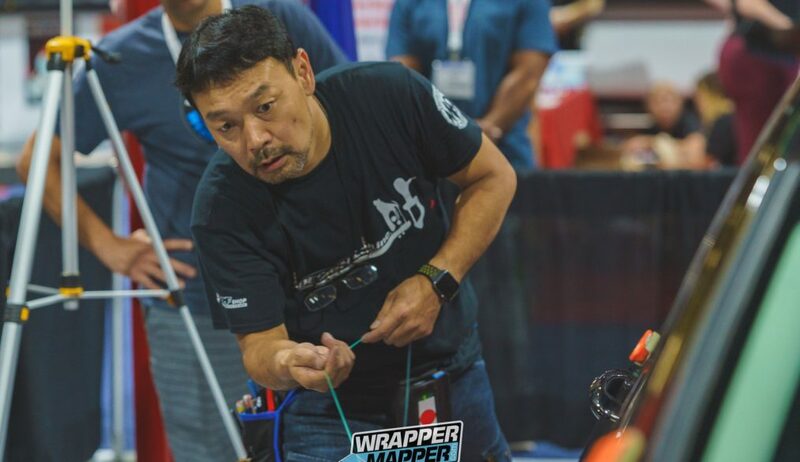 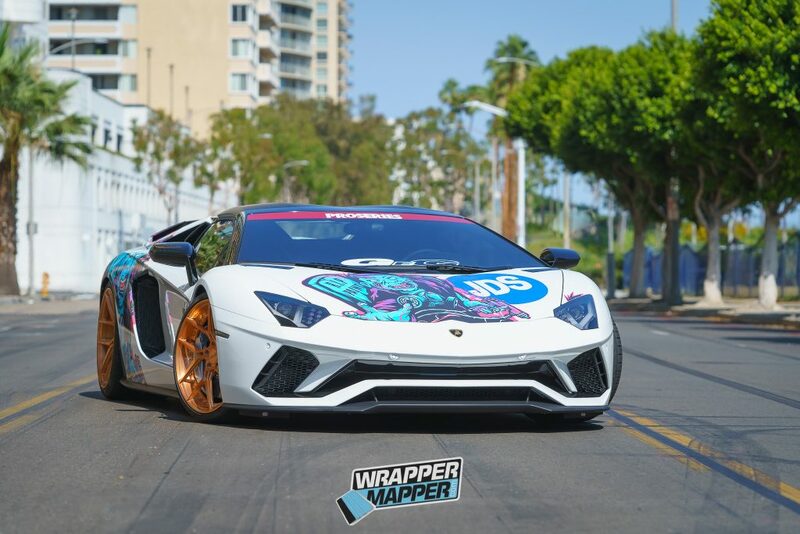 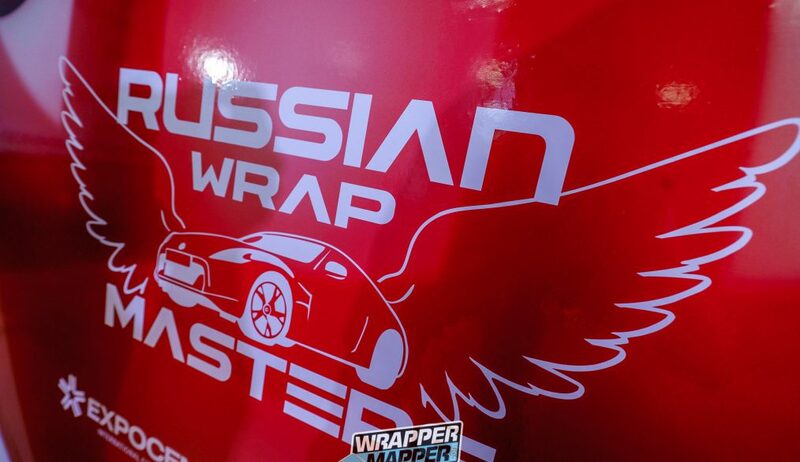 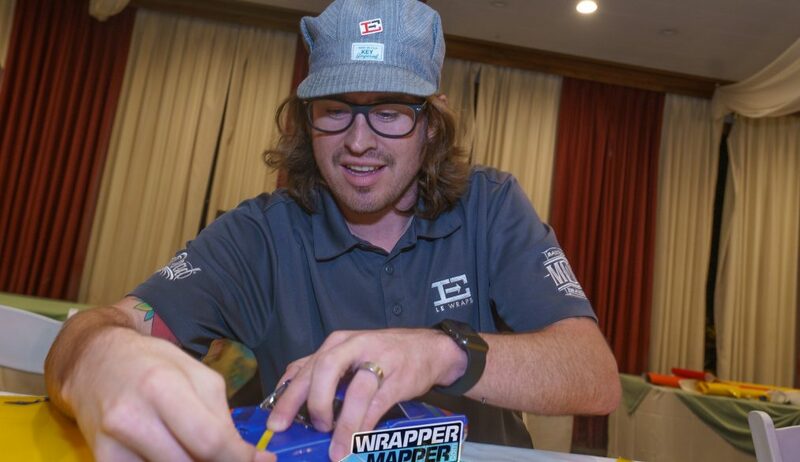 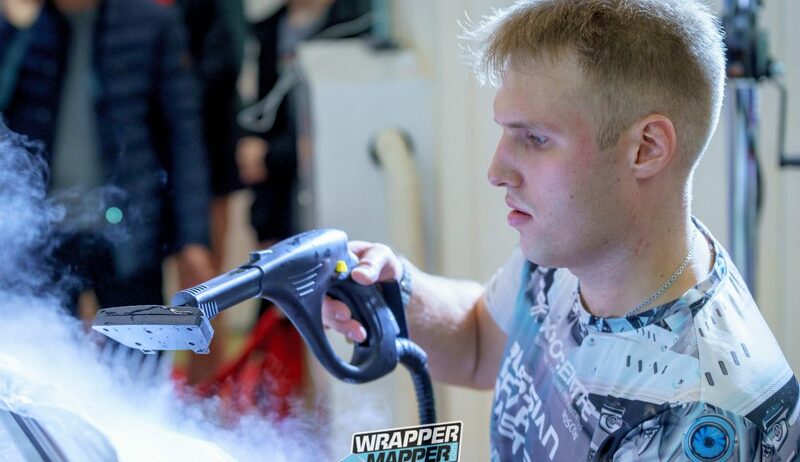 September saw the arrival of the 2018 Russian Wrap Masters Cup. 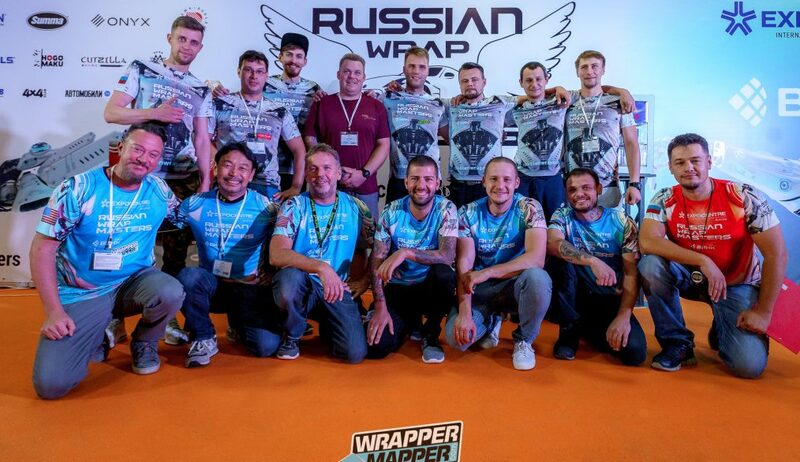 4 Days of wrapping competitions, demonstrations, training and international fun organized by the RWM team based out of Saint Petersburg. 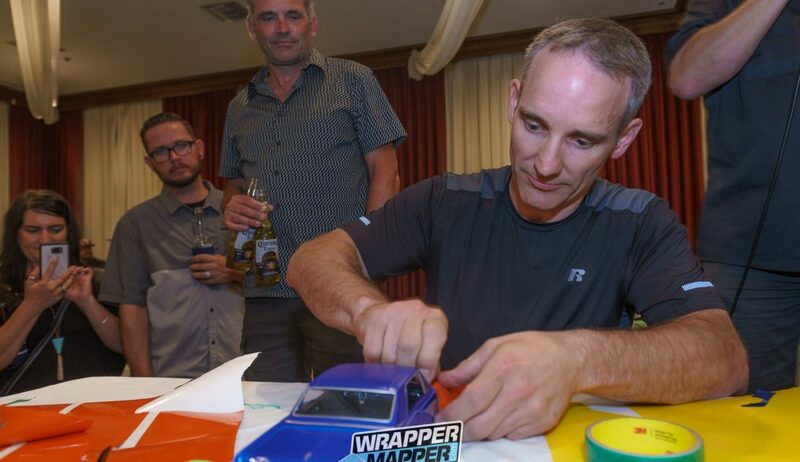 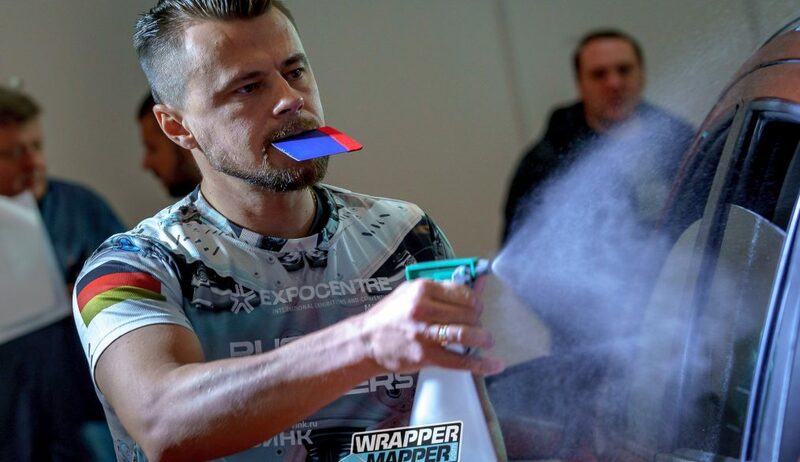 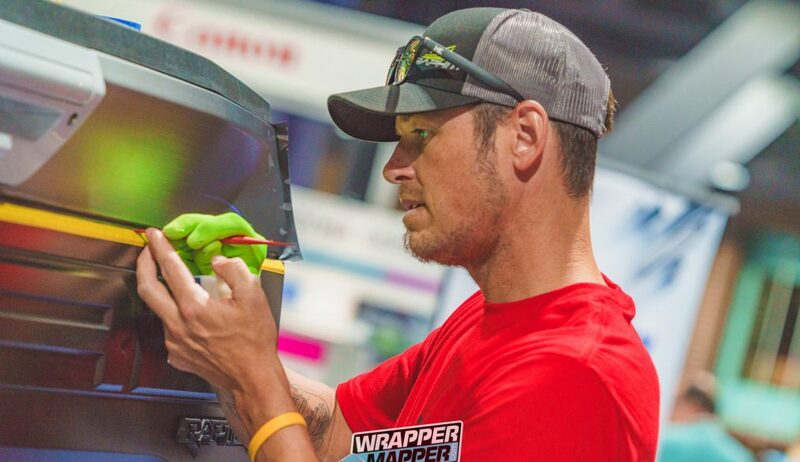 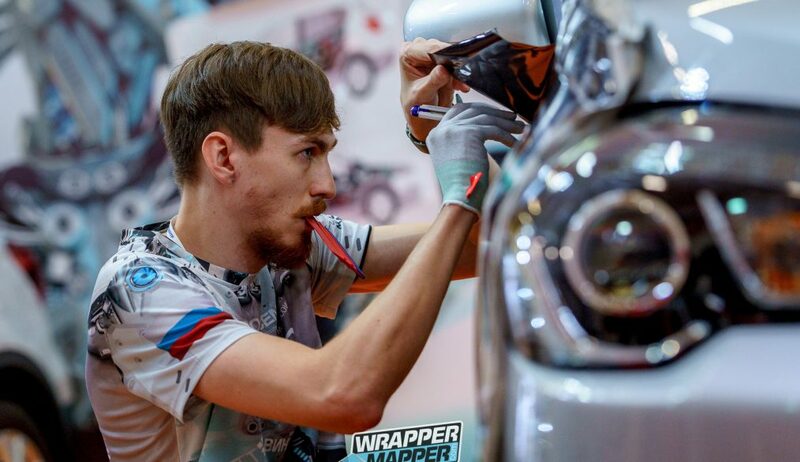 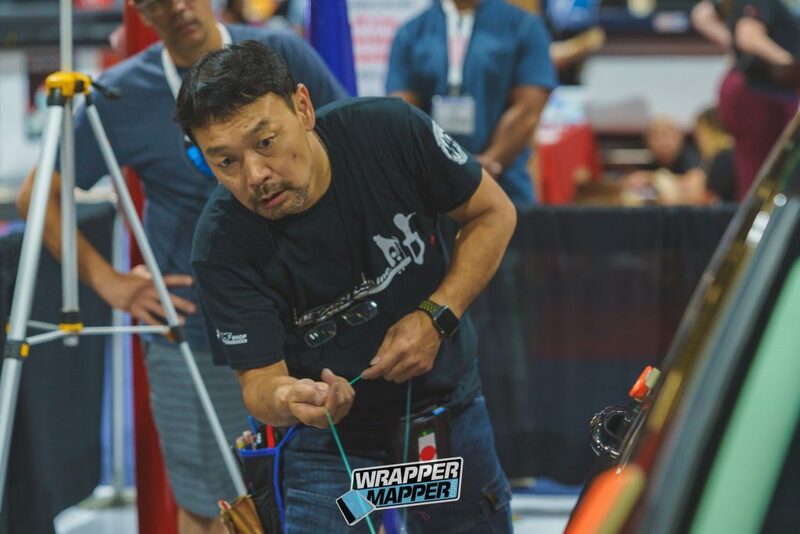 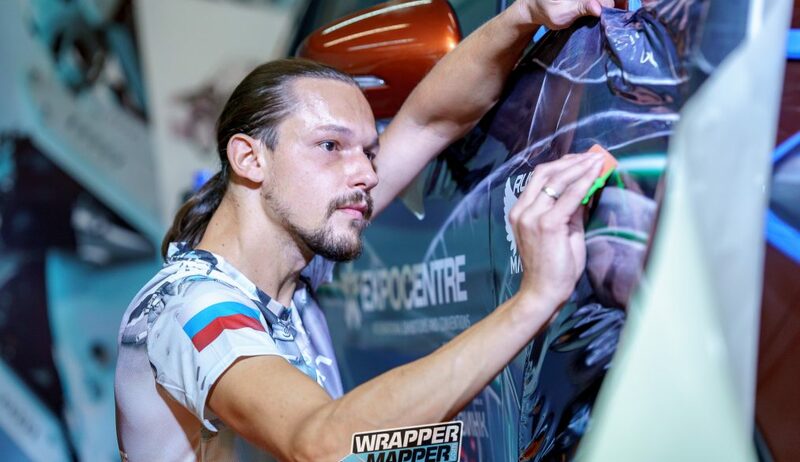 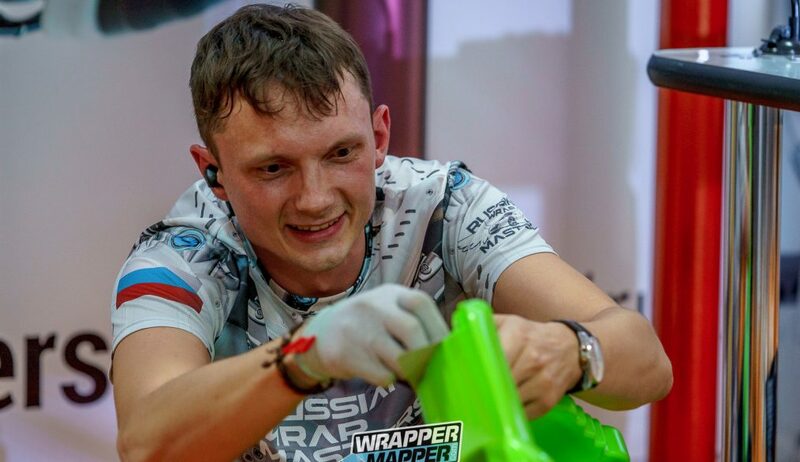 At the end of the day, when all squeegees are down, the Russian Wrap Masters champion of 2018 went to Andreas Siemens. 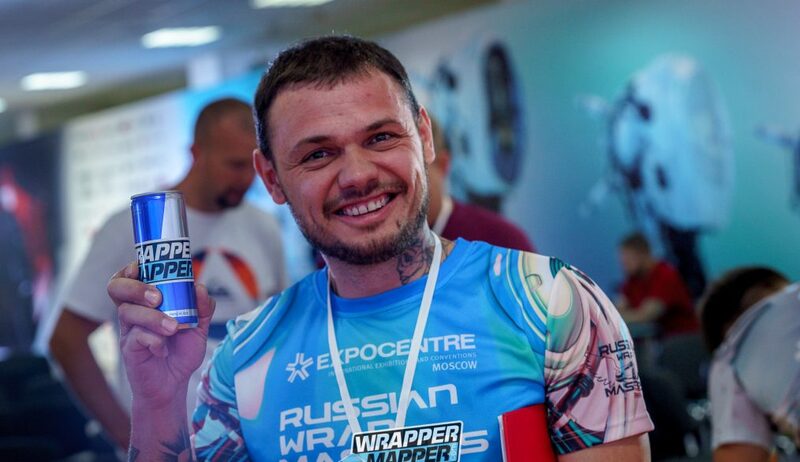 Congratulations Andreas and enjoy a job well done! 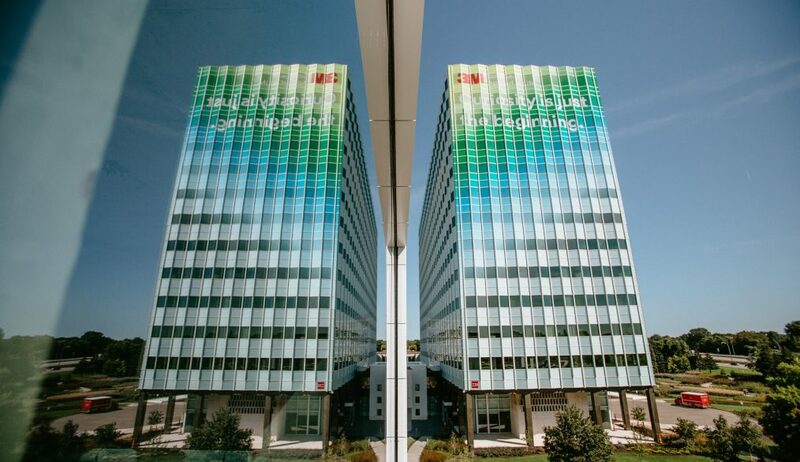 A wrapped twelve story building… 3M headquarters made it happen. 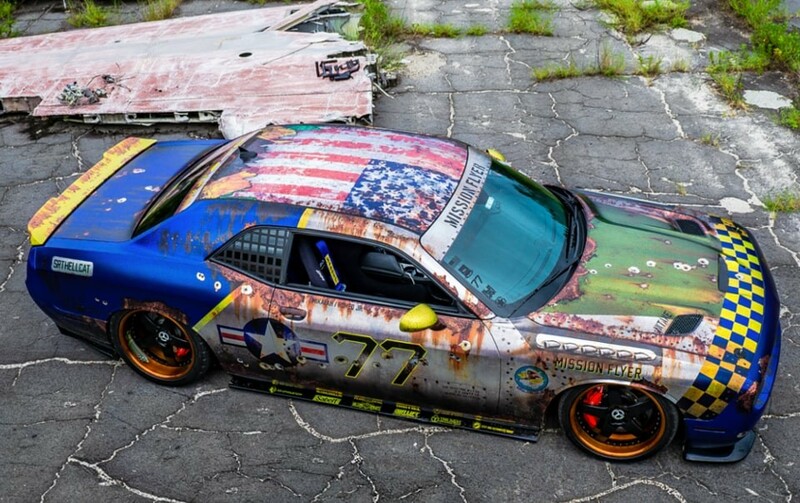 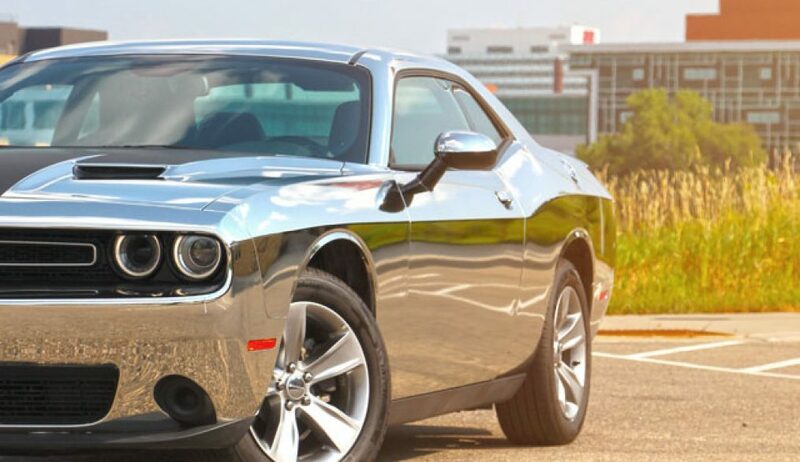 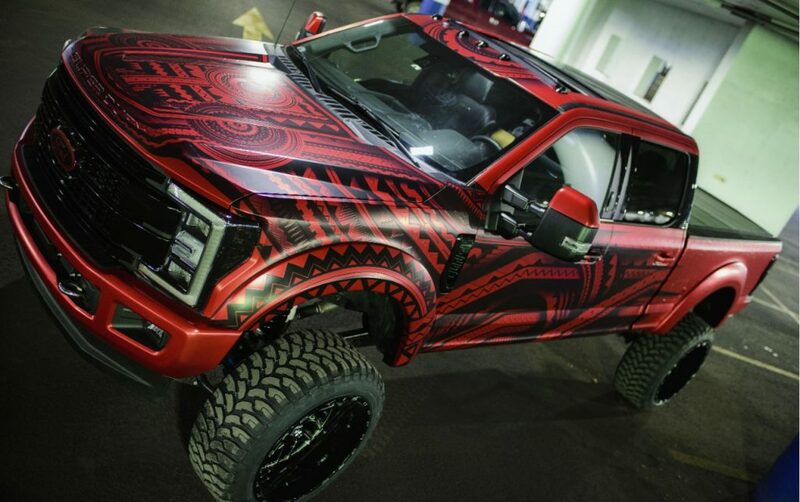 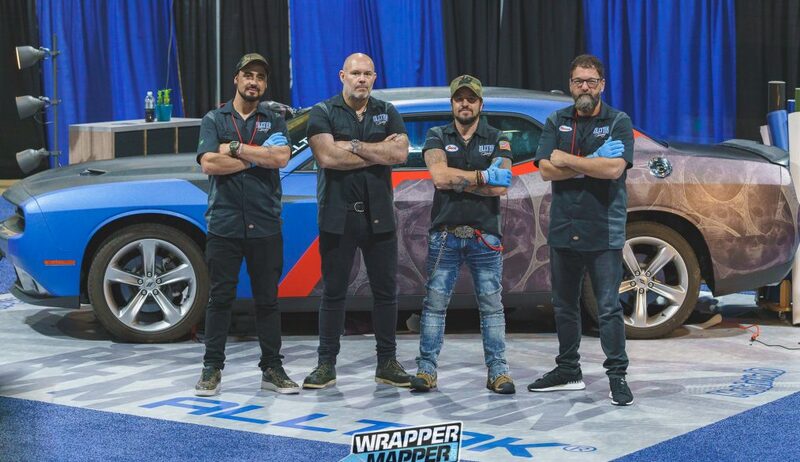 Jeff Roosa, owner of DPI Graphics, was able to live a dream when he was selected to lead up an amazing coordinated wrap installation for 3M Headquarters in Saint Paul, Minnesota USA in August this year. 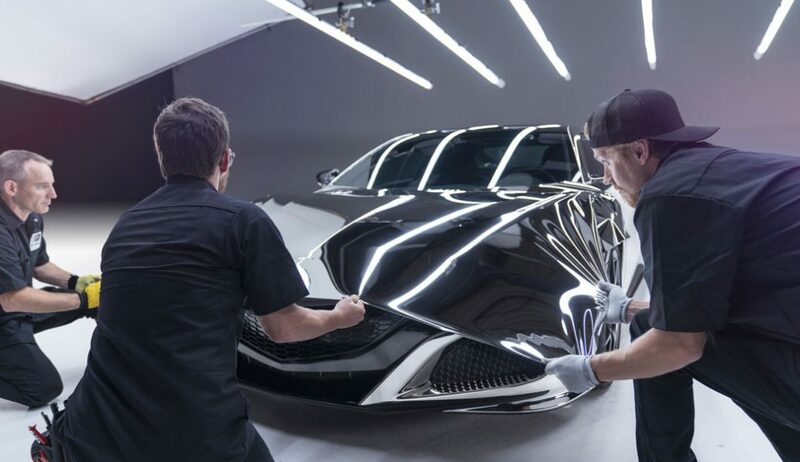 Together with his handpicked crew of, Matt Sorg, Carl Brewer, Sergio Yakobchak and Ben Anderson, the installation team worked 24 hours a day for three days straight in 8 hour shifts to complete the project. 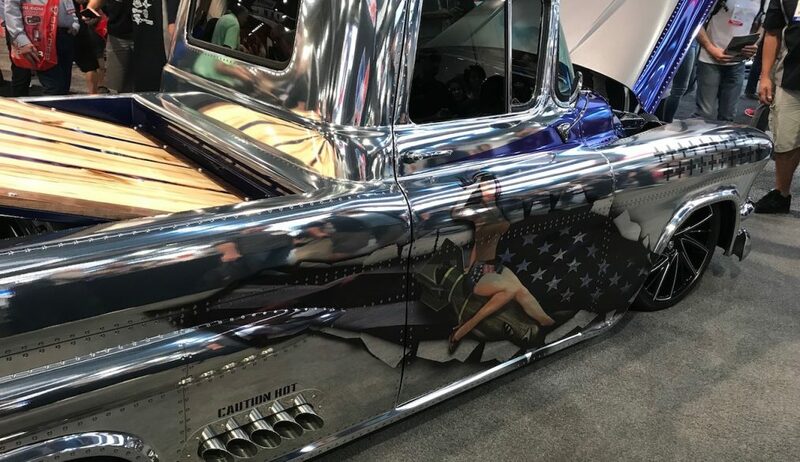 To make matters even more interesting, the shape of the building required a custom powered scaffolding while the sheer massive size of the work required a highly detailed grid pattern to keep the hundreds of individually produced panels organized and efficient. 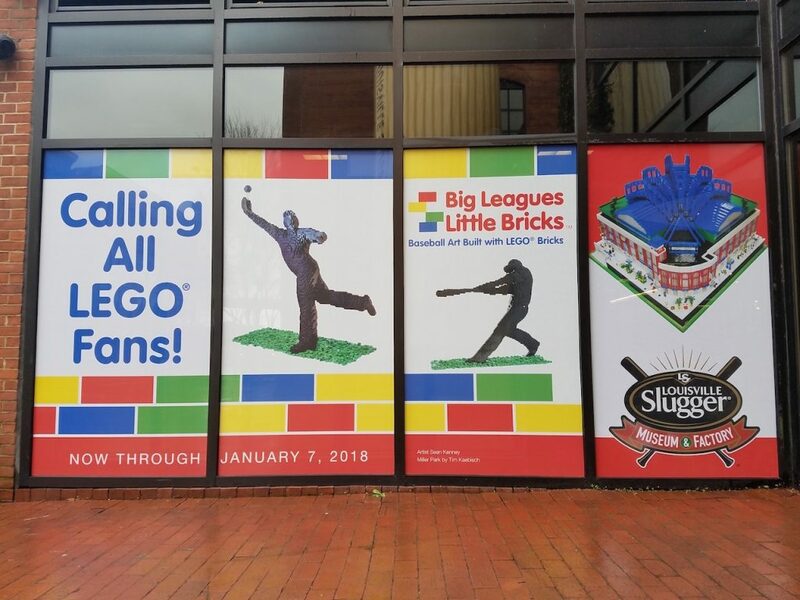 This monumental effort was scheduled to coincide with the 2018 3M Discovering Transformations Media Day. 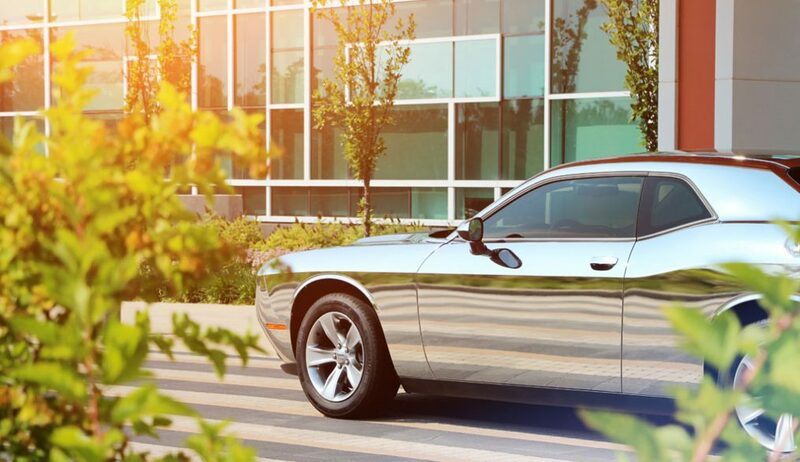 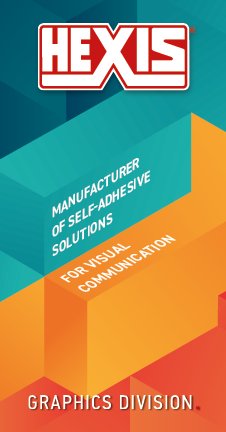 Attendees of the event were invited to the 3M headquarters in St. Paul, Minnesota for a chance to hear about industry trends, upcoming products as well as new and innovative technologies. 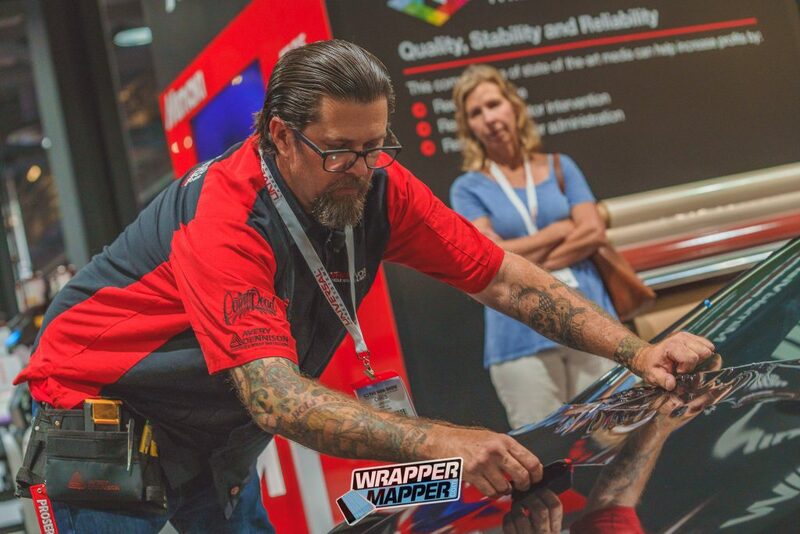 The day consisted of a keynote presentation from Peter Elliot on “Impactful Transformations”, and a panel discussion with 3M experts. 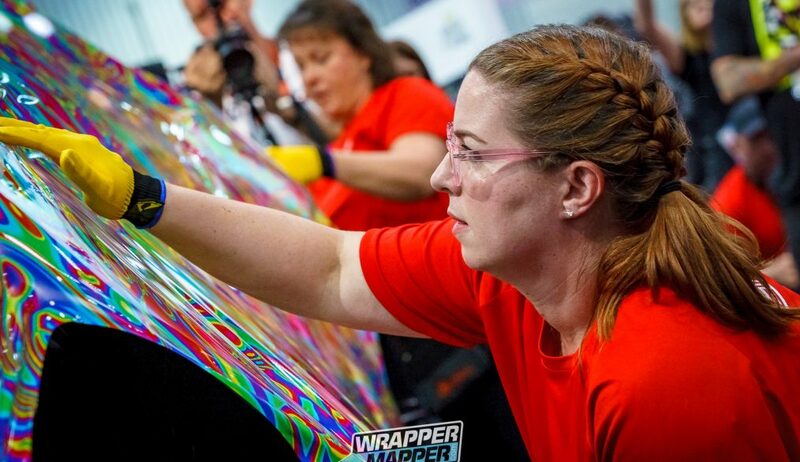 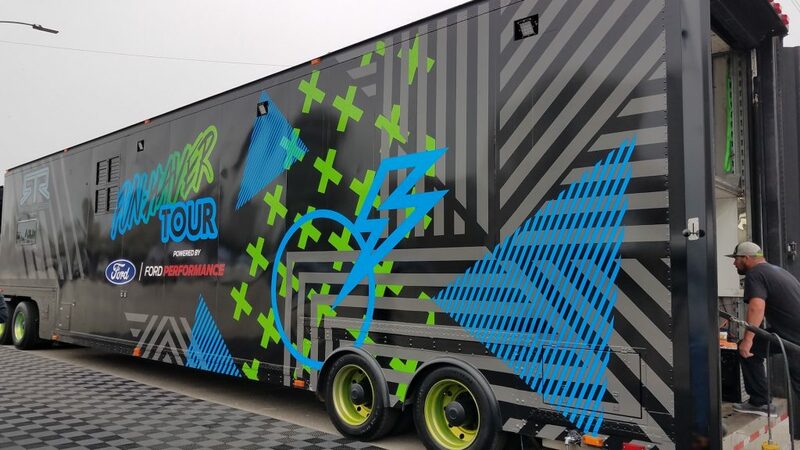 Guests had the opportunity to tour 3M’s Innovation Center and the Carlton Science Center, as well as participate in hands-on demonstrations with 3M products including Wrap Film Series 1080, Safety and Security Film, 3M Graphics Hub and Envision Print Wrap Film 480mC. 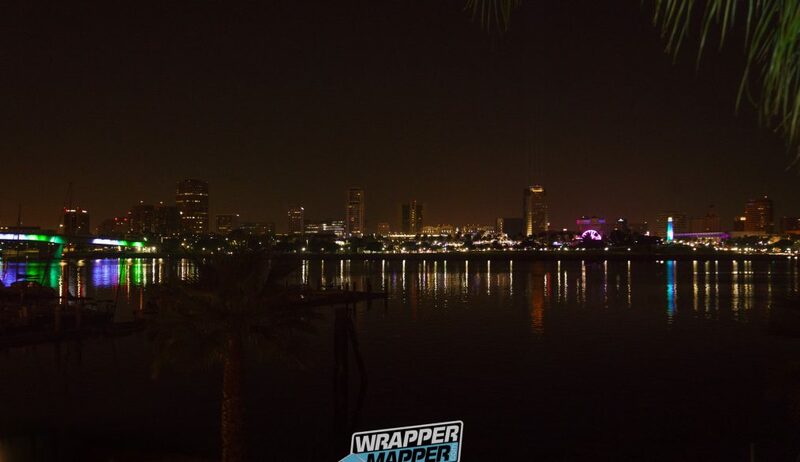 Additionally, attendees got a front-row view of the new 12-story building wrap itself. 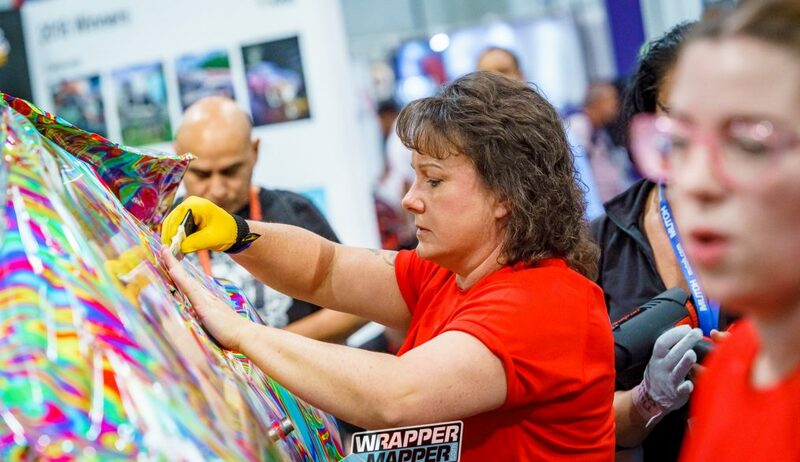 “Curiosity is just the beginning” was the wrap message as it coincides with the 3M mission to encourage everyone to begin to look at every surface as a canvas. 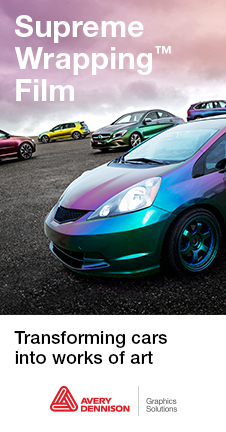 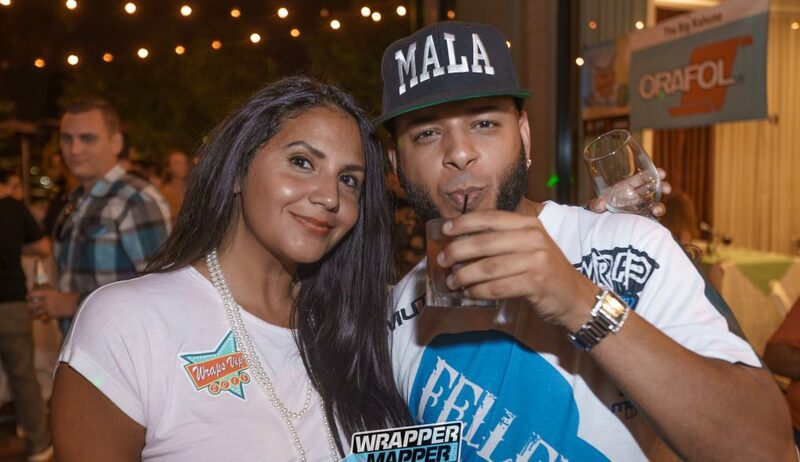 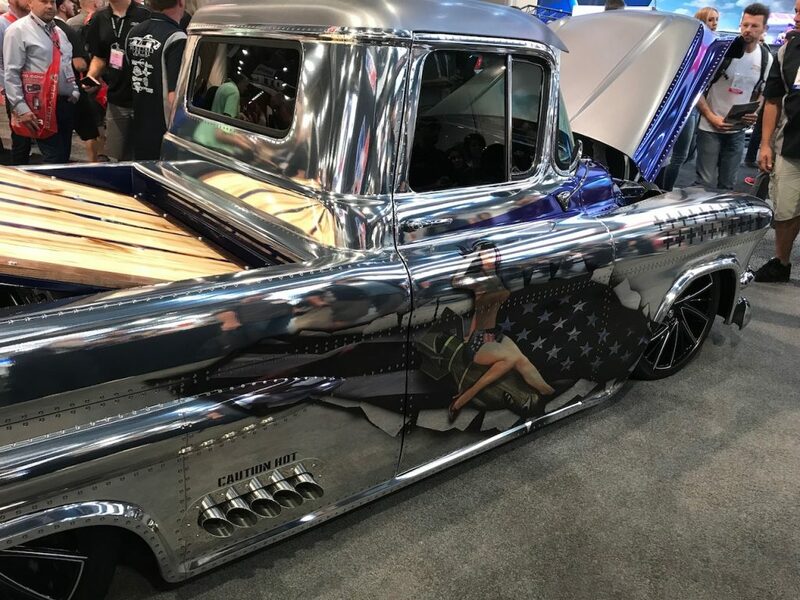 Where, oh where, will the parties at SEMA be? 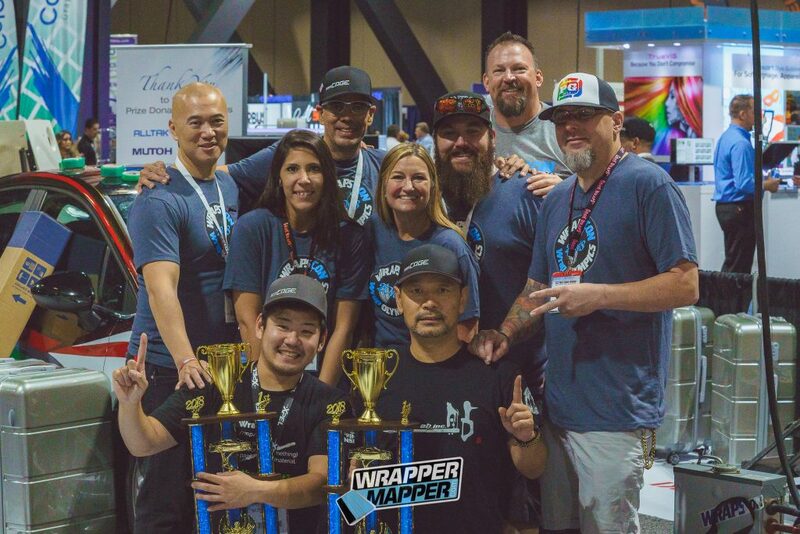 If you have attended the Las Vegas wrap party extravaganza that is SEMA then you know this week is the industry’s wildest of the year. 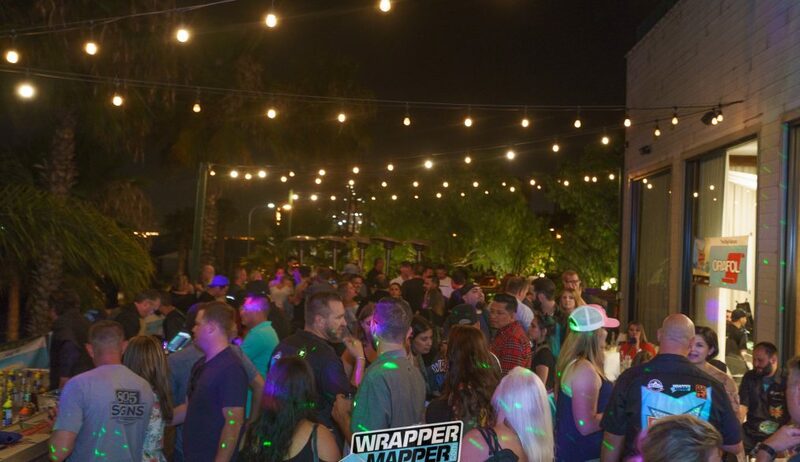 To make it easy, here is a quick list of what is going on each night after the show. 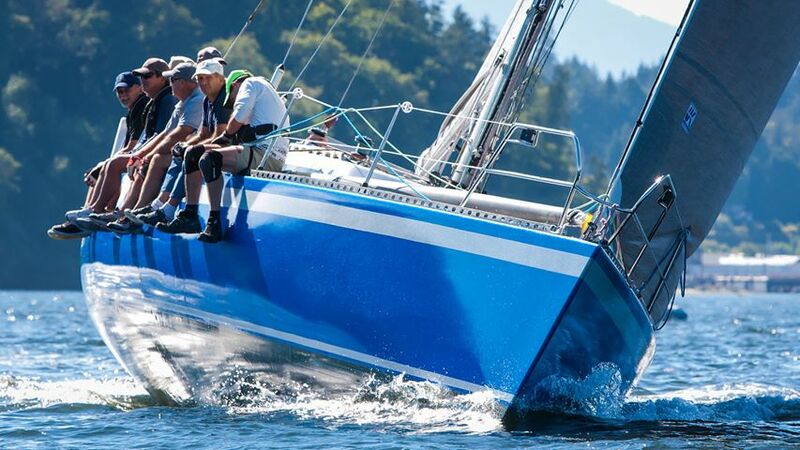 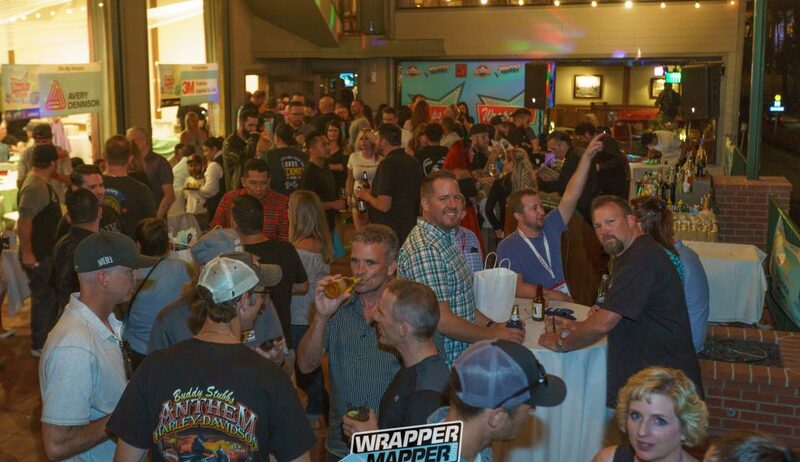 There will be many private appreciation events happening but here is a nice selection of industry open fun! 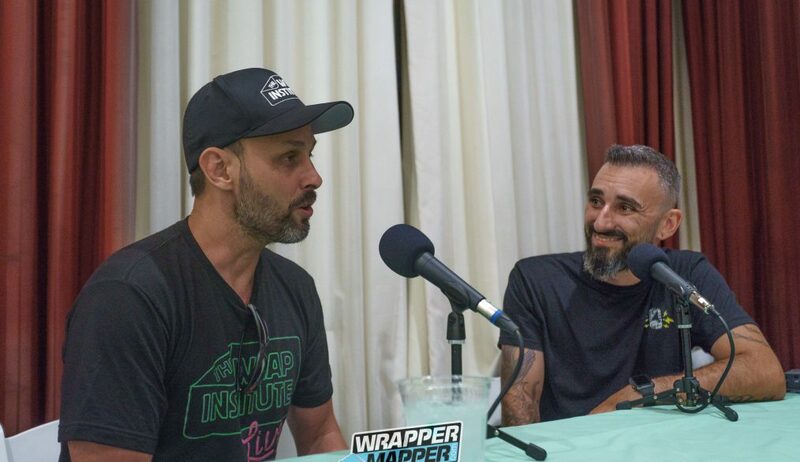 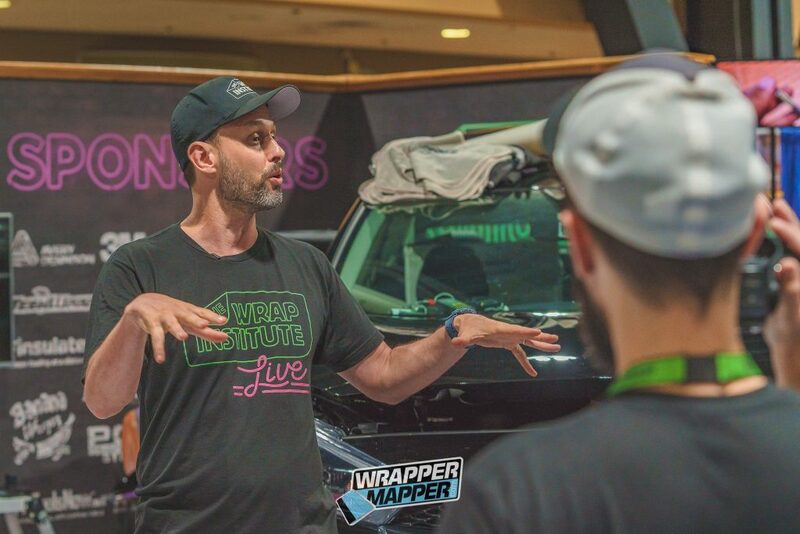 If you missed WRAPSCON 2018… you missed a lot. 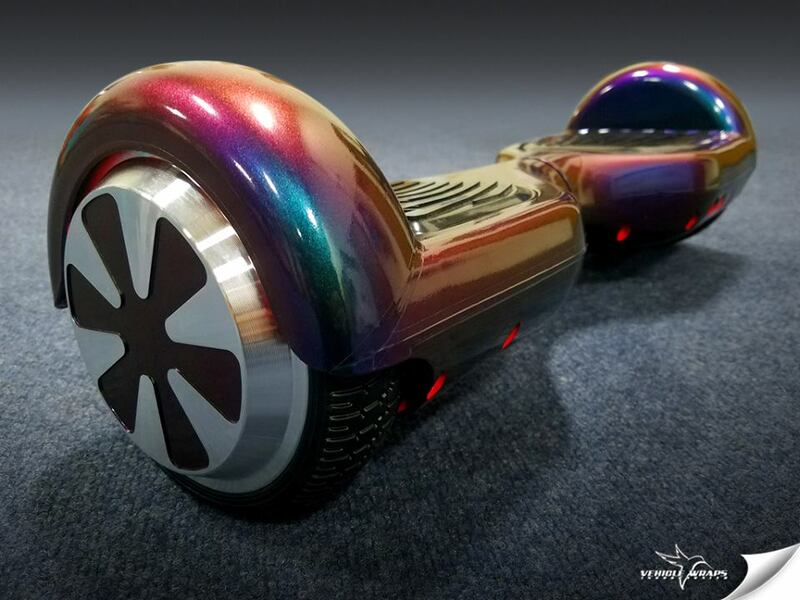 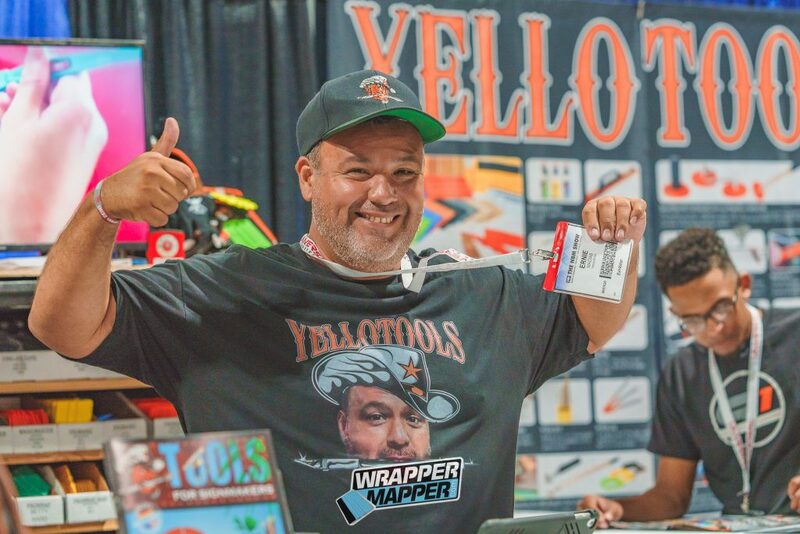 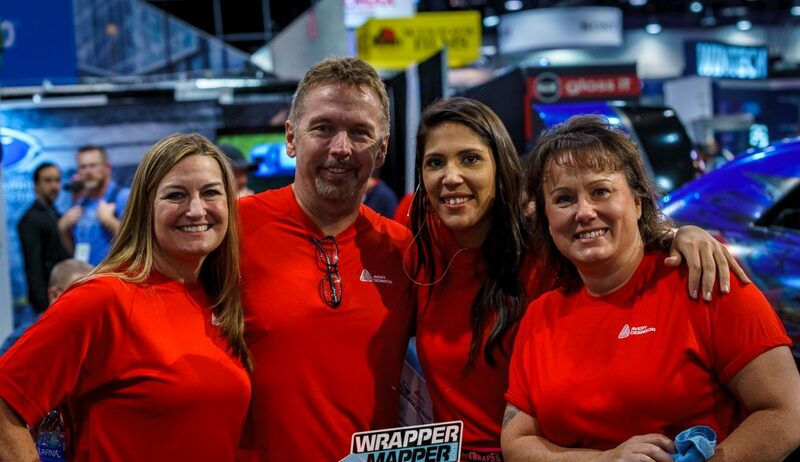 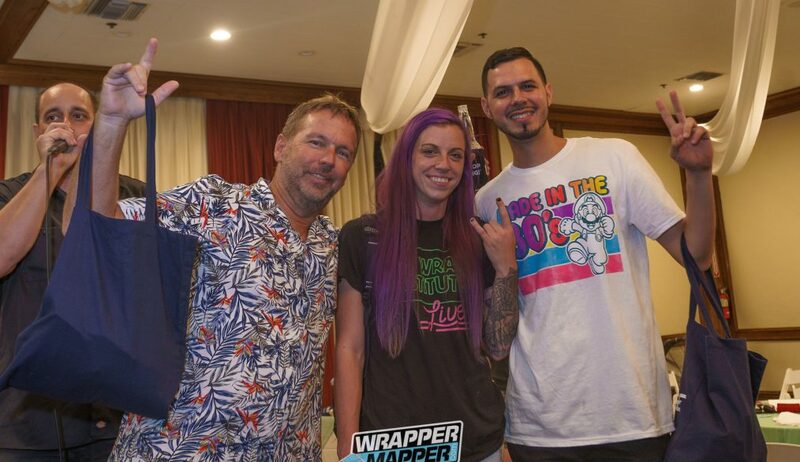 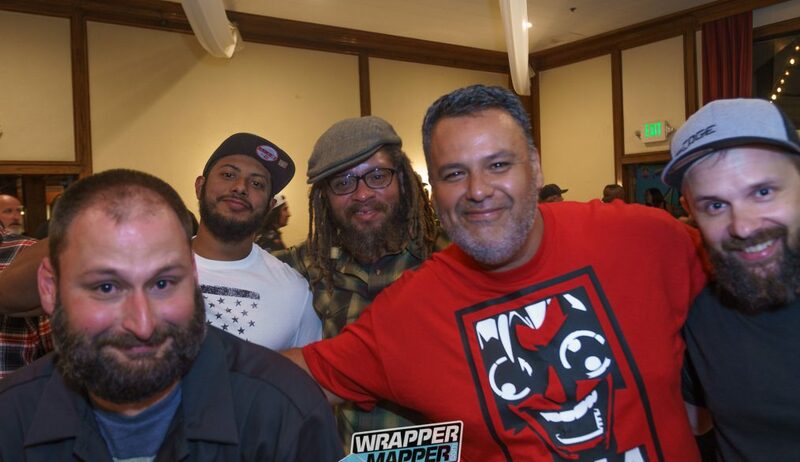 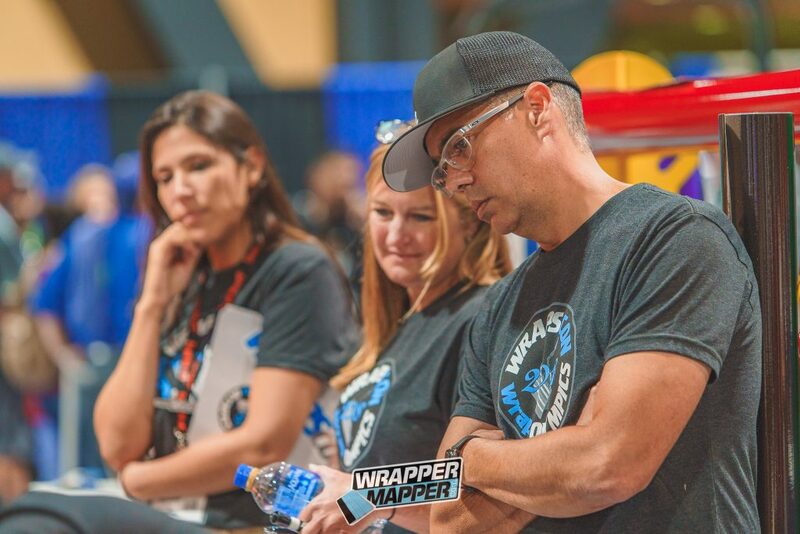 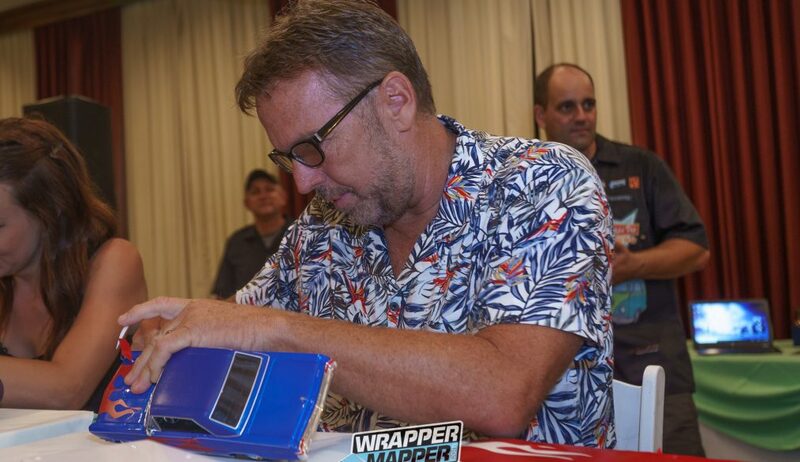 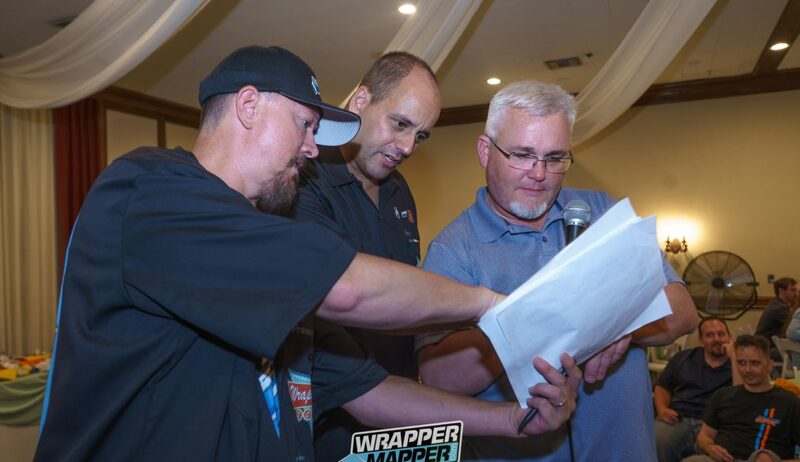 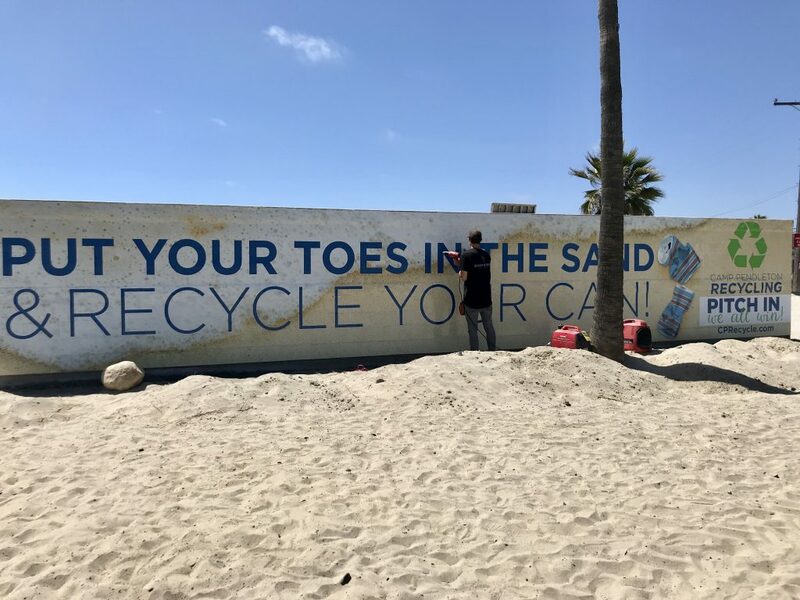 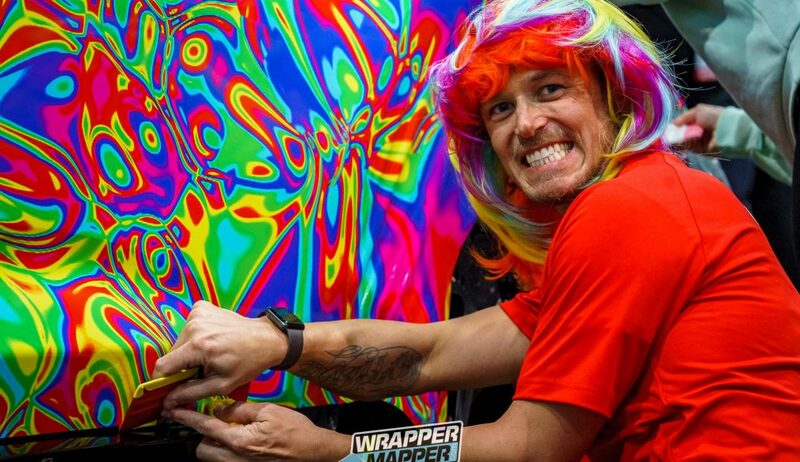 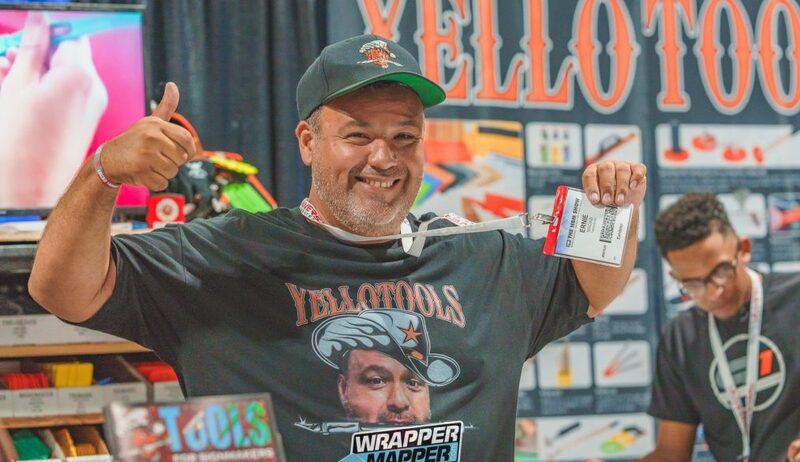 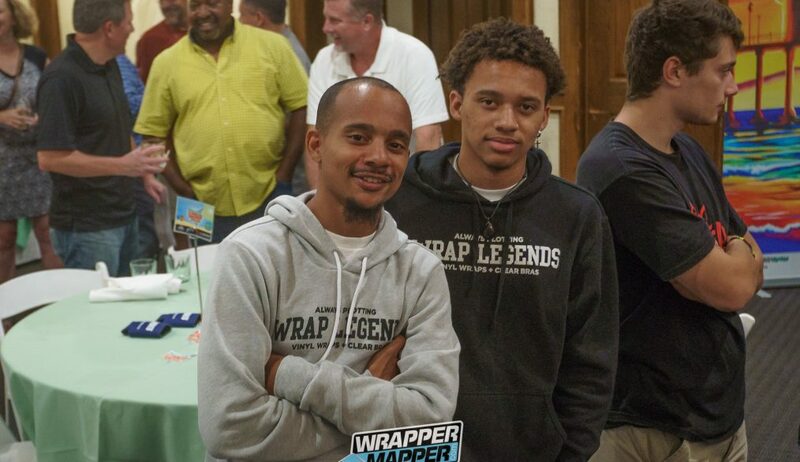 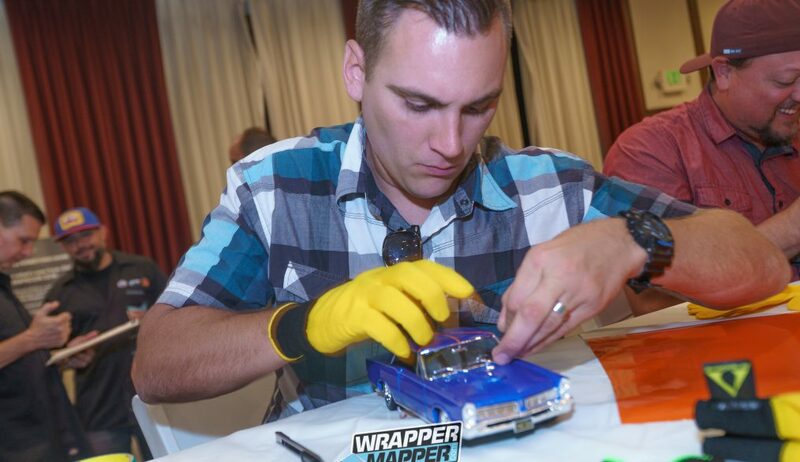 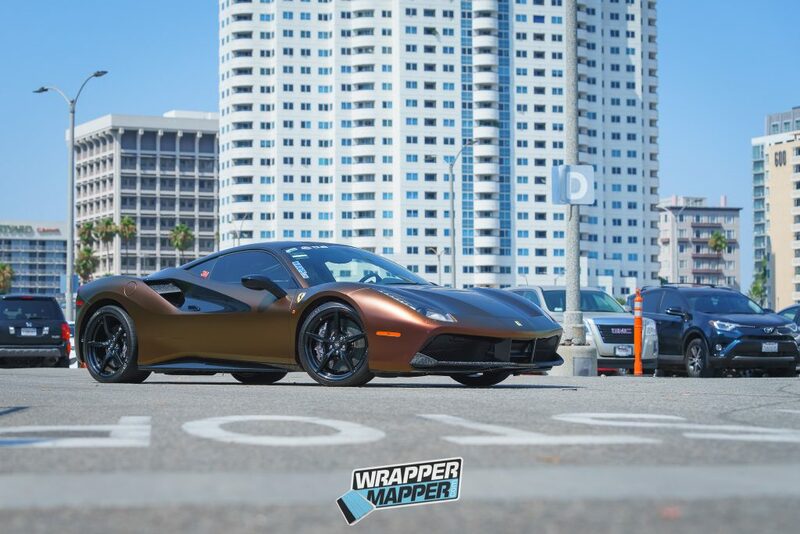 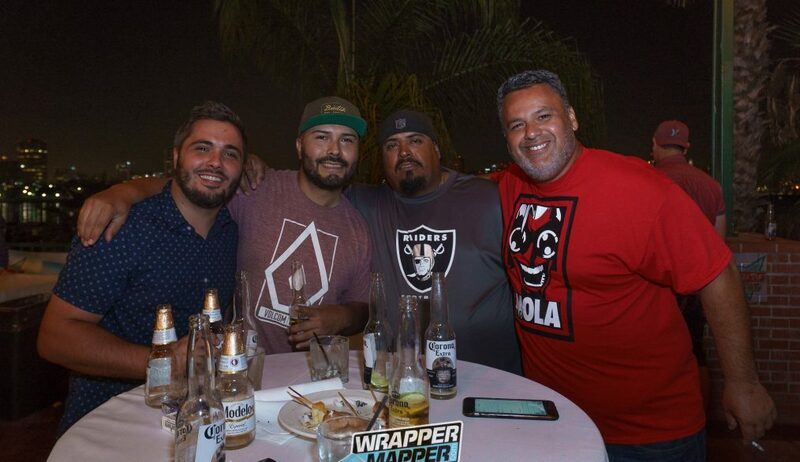 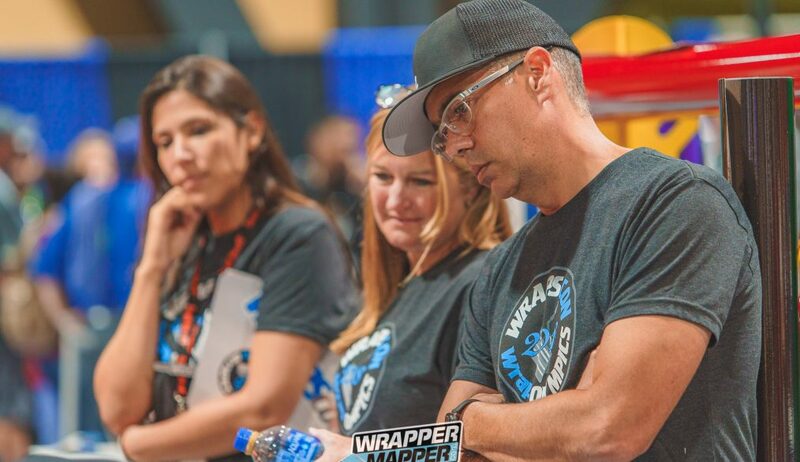 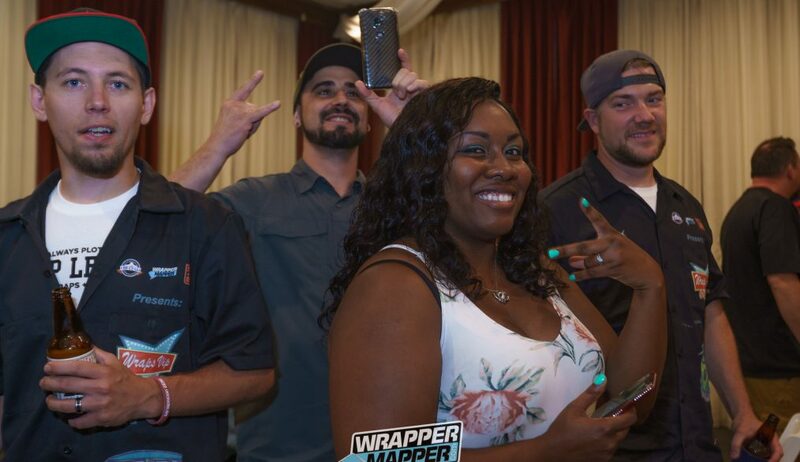 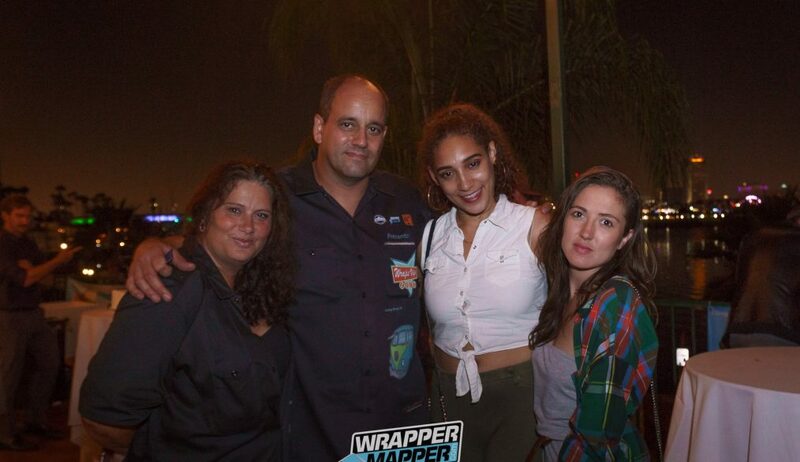 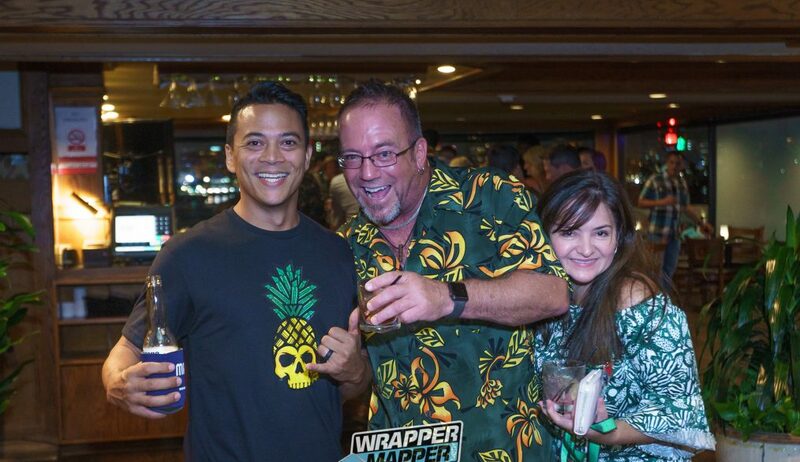 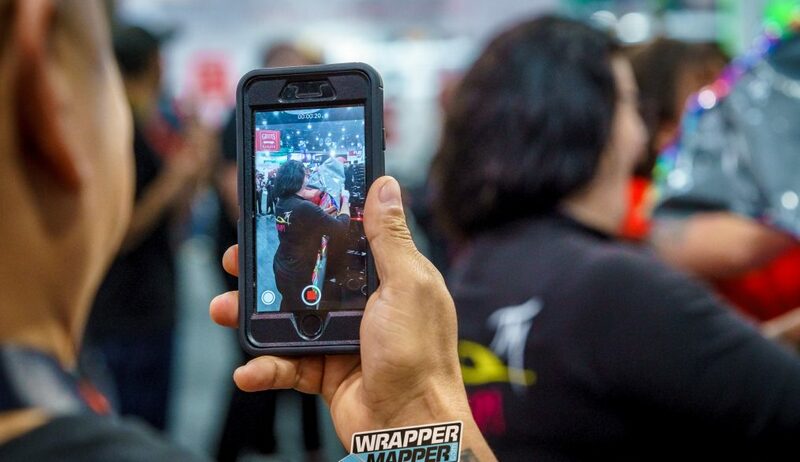 If you didn’t make it Long Beach California for WRAPSCON this year… you missed yet another great show. 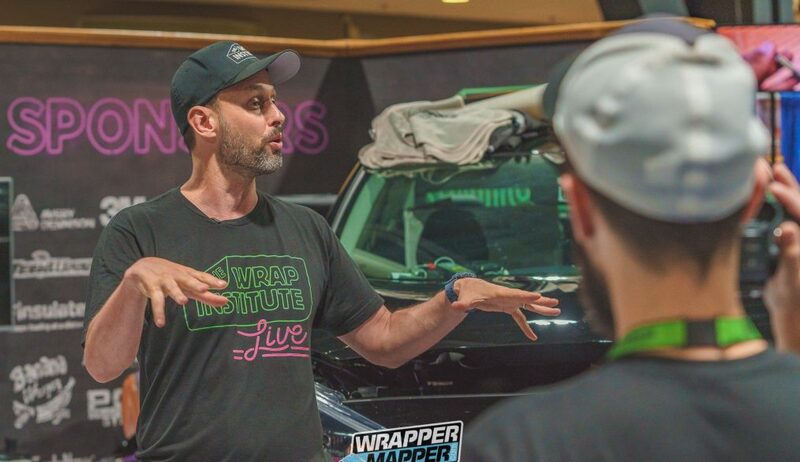 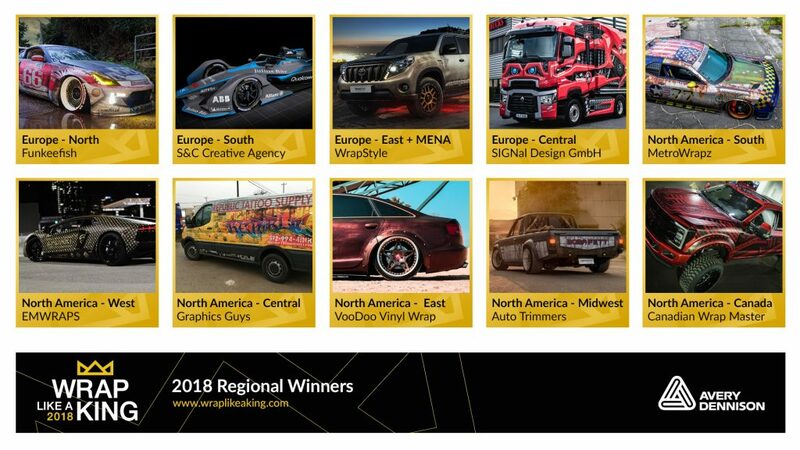 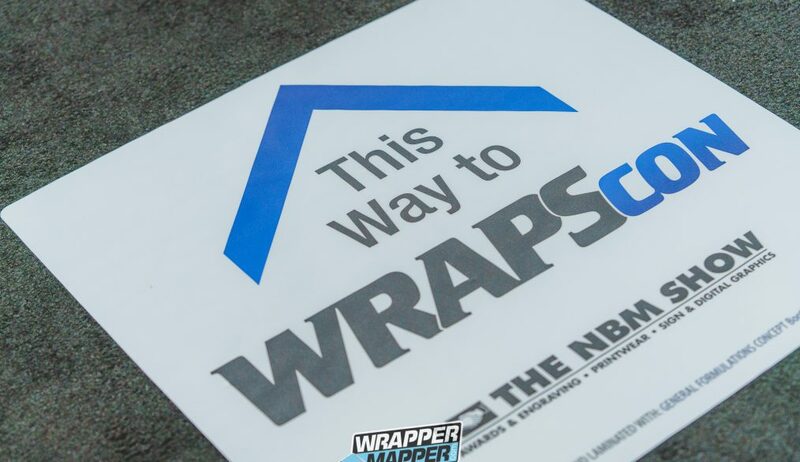 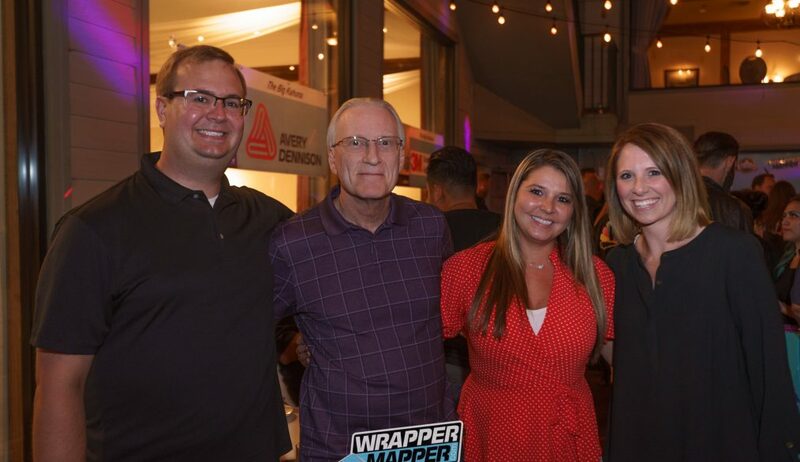 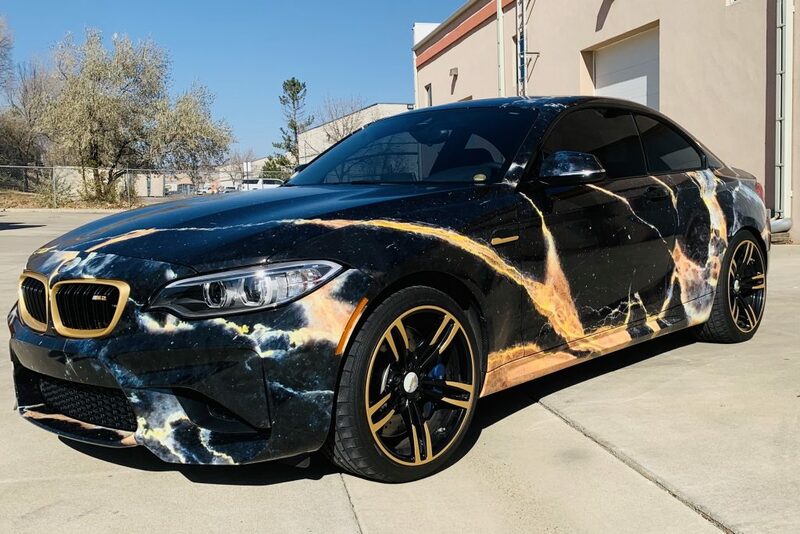 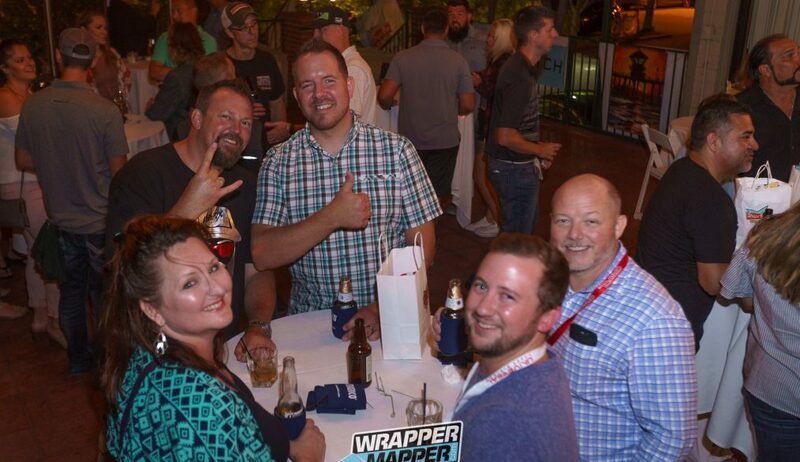 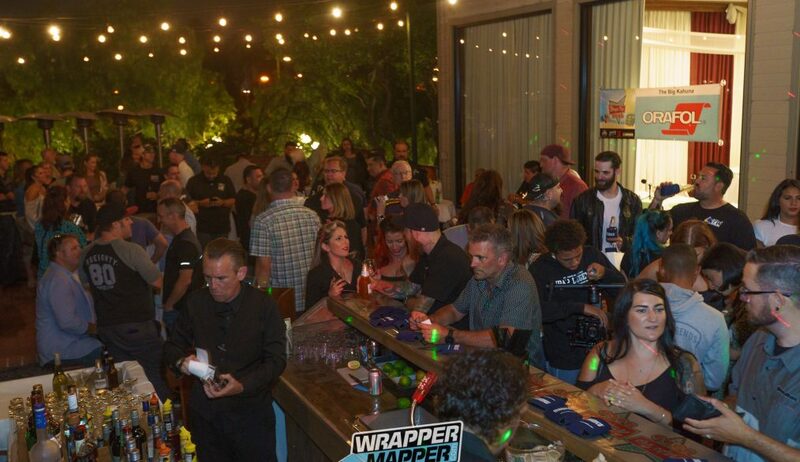 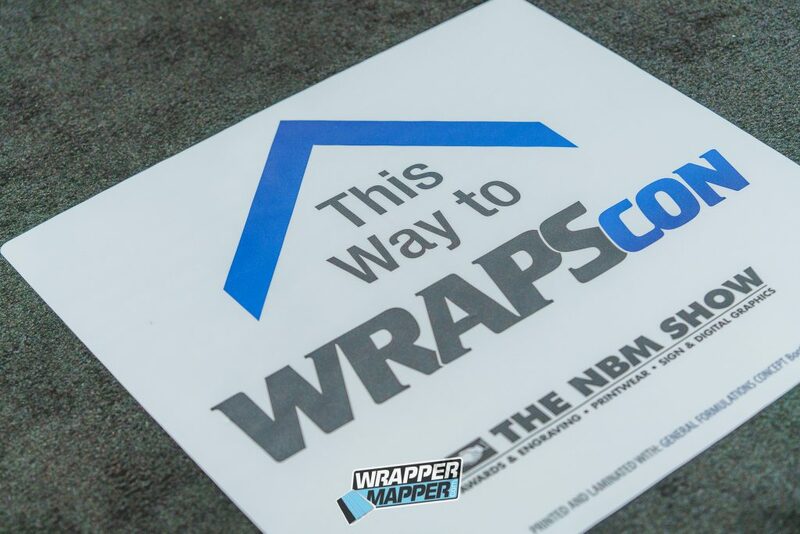 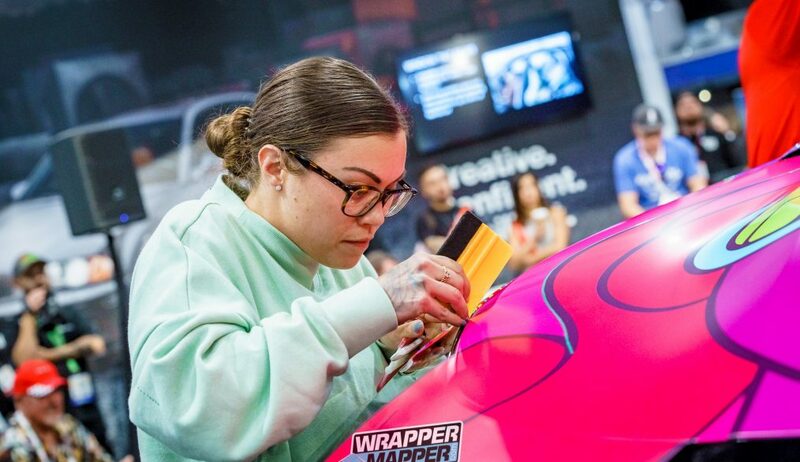 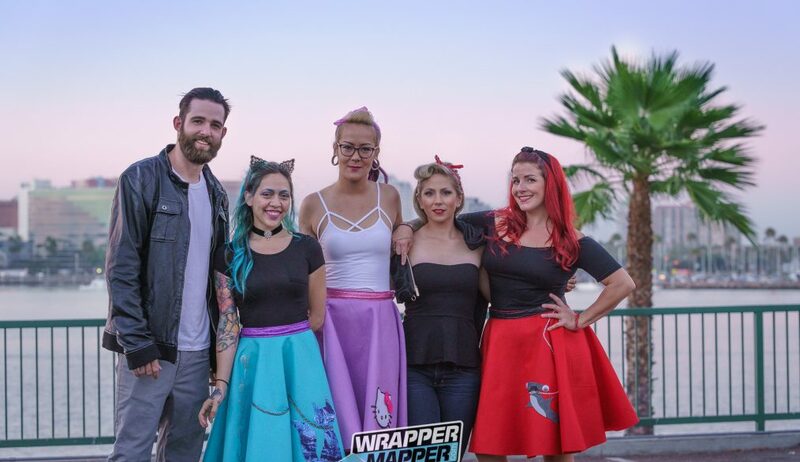 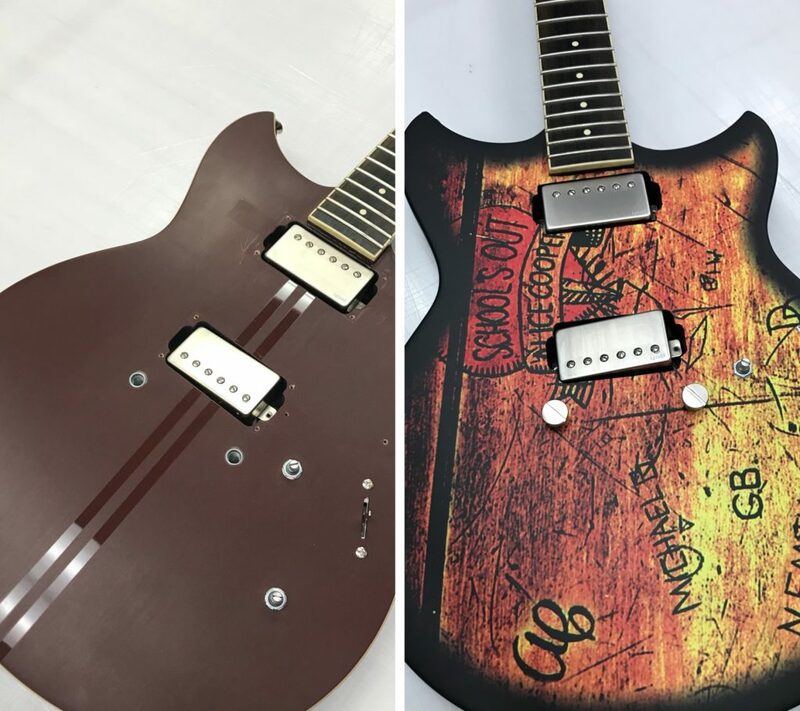 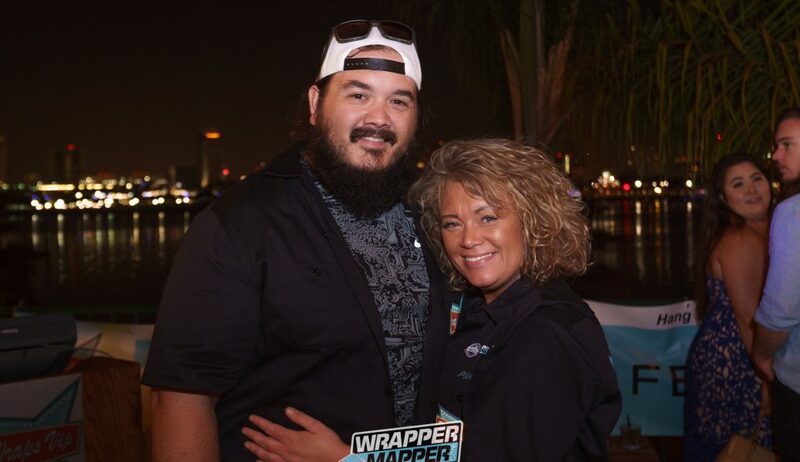 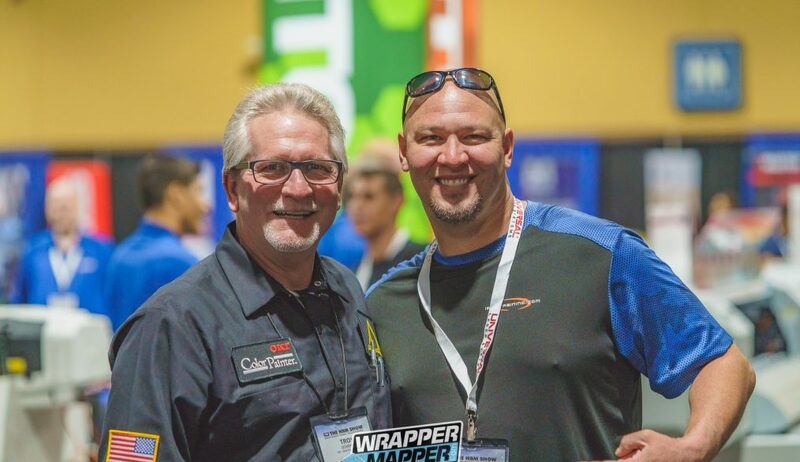 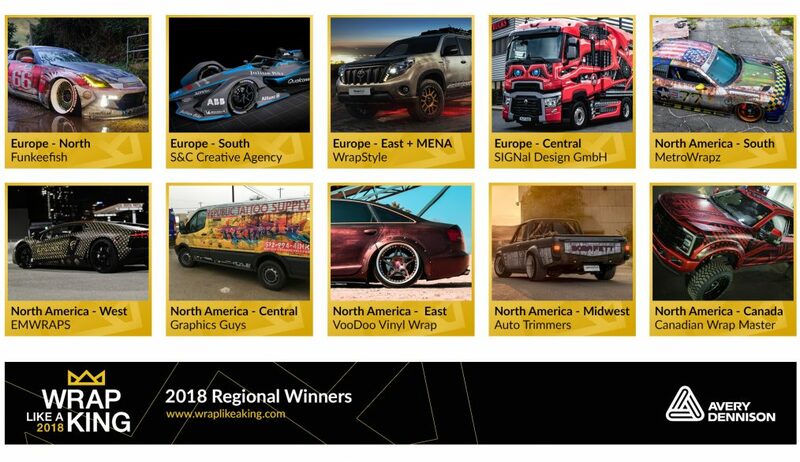 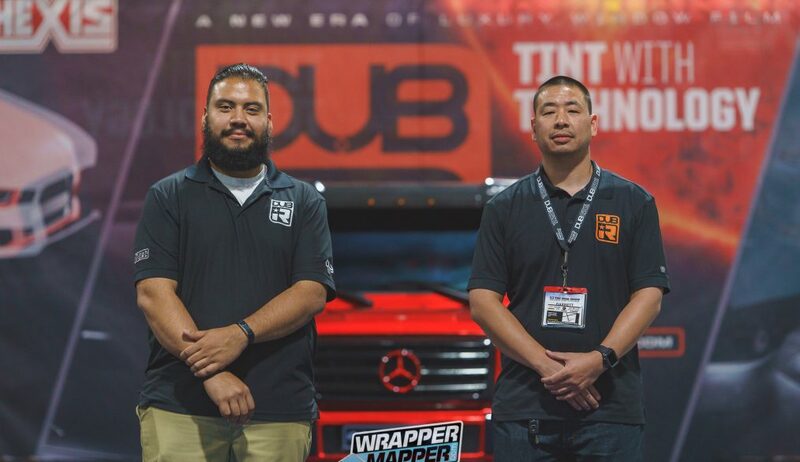 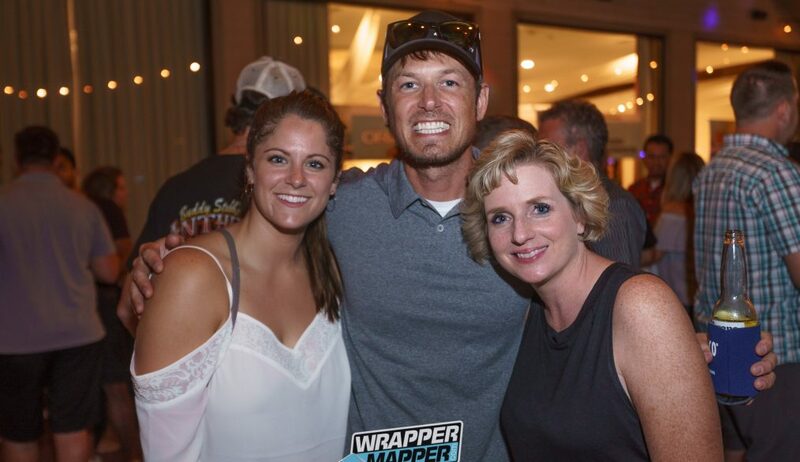 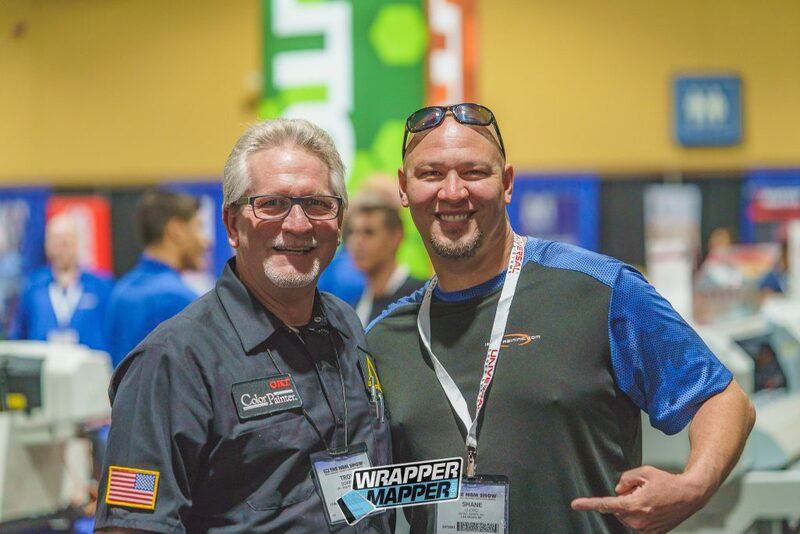 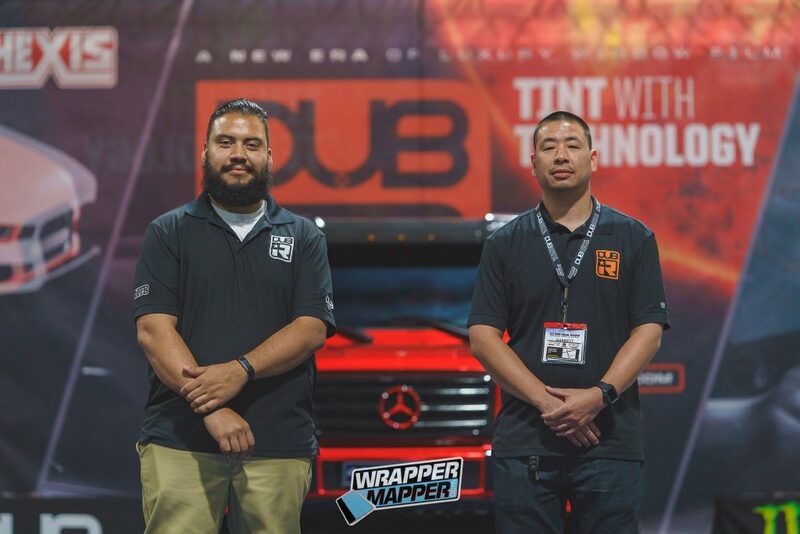 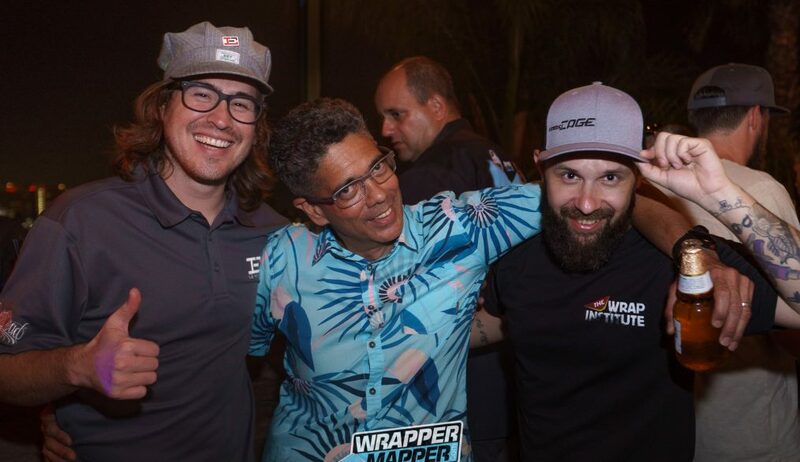 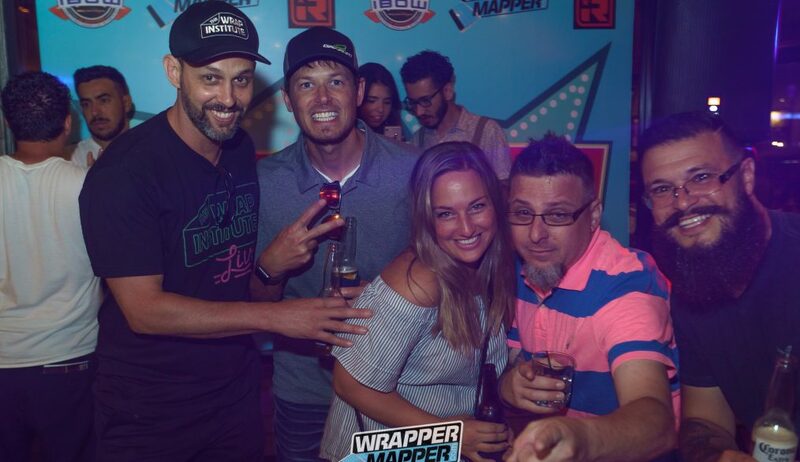 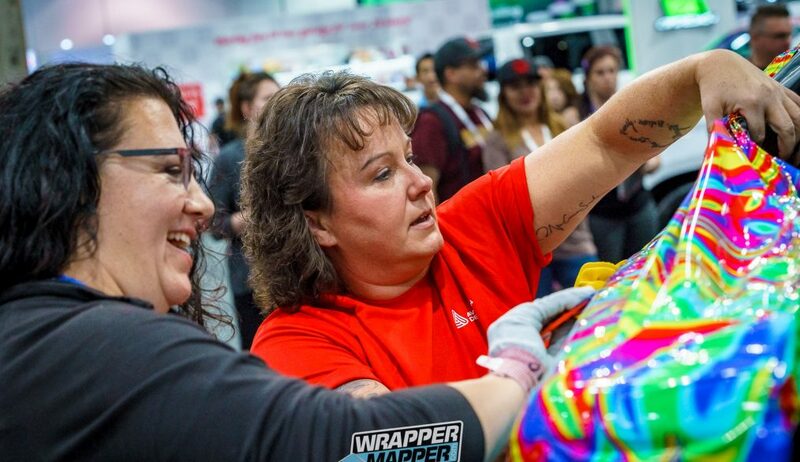 As always, this wrap industry focused event was hosted by NBM (National Business Media) who brings us awesome publications like Sign and Digital Graphics Magazine and the annual WRAPS Magazine. 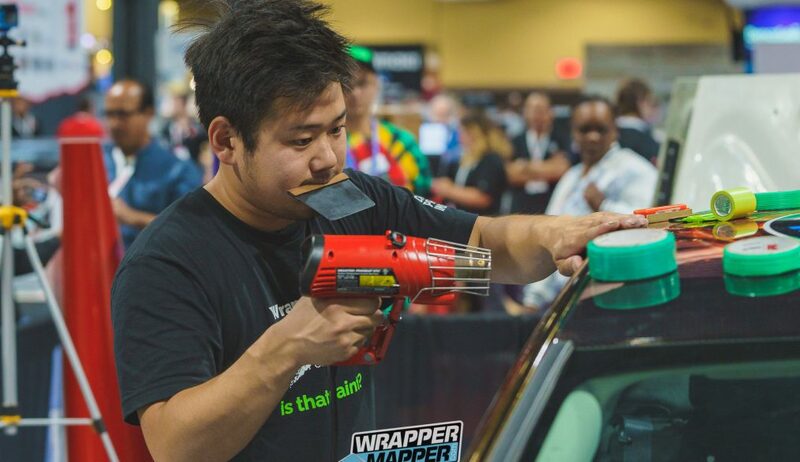 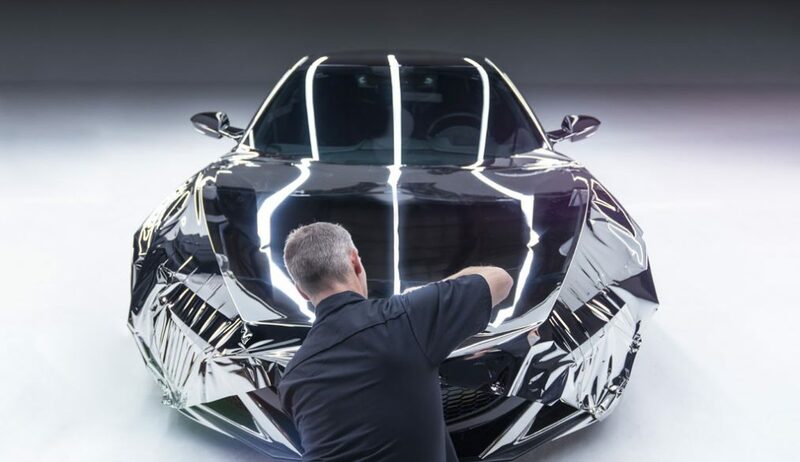 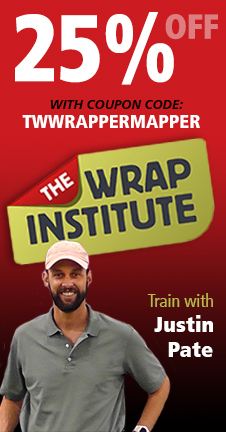 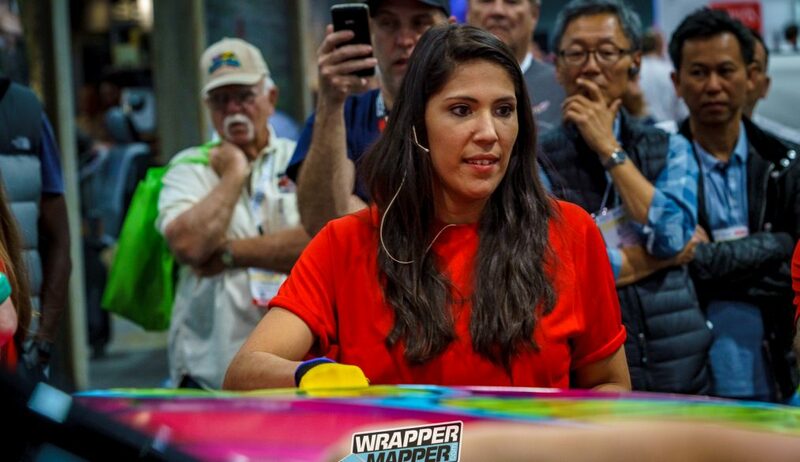 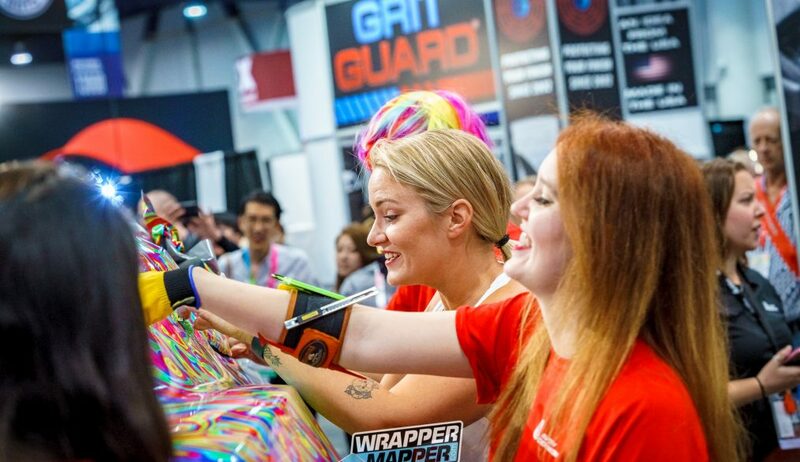 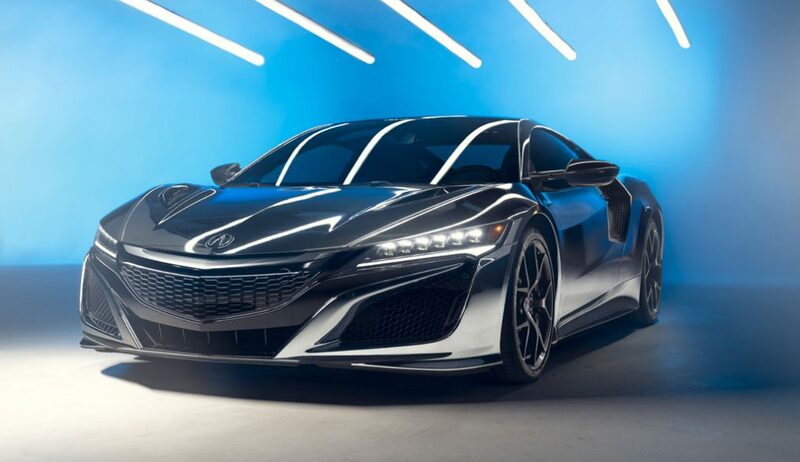 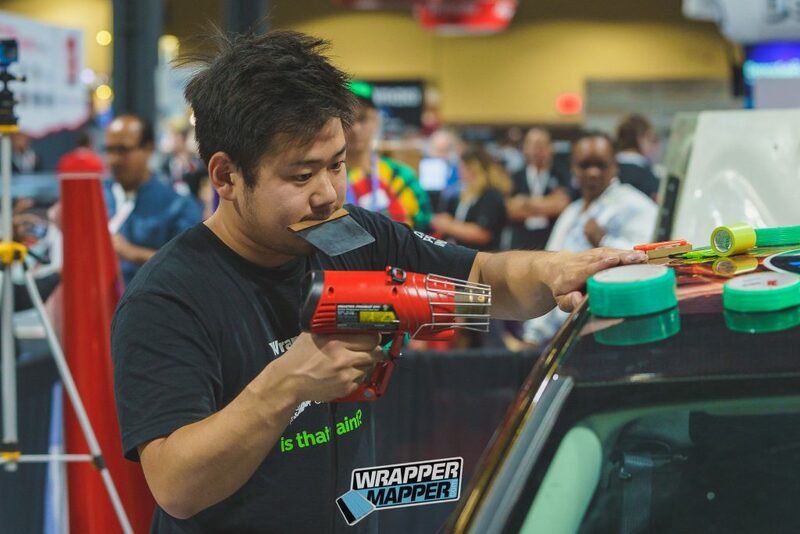 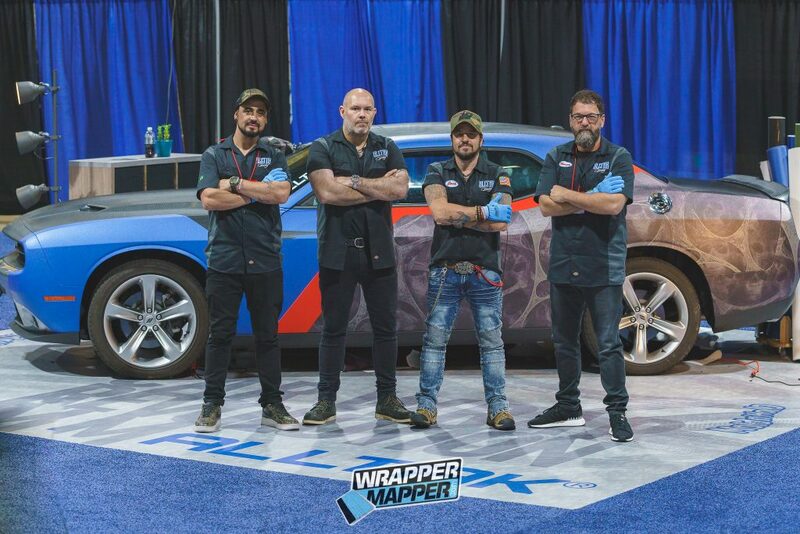 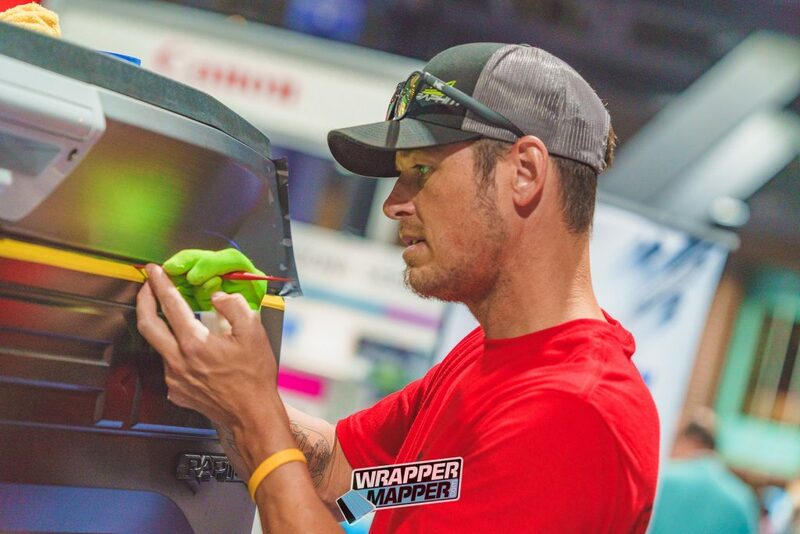 The much anticipated WRAPS Magazine “…covers the materials, technology, and production of all forms of wrap applications including vehicle, fleet, building, flooring, and rough-surface wrapping. 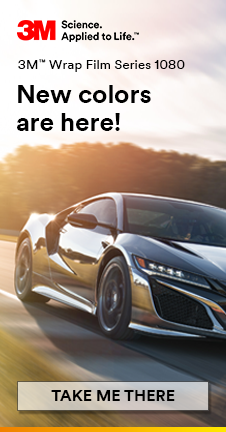 Shop owners will find it an authoritative source of business information on market trends, how-to application tips, design strategies and out-of-home and vehicle advertising. 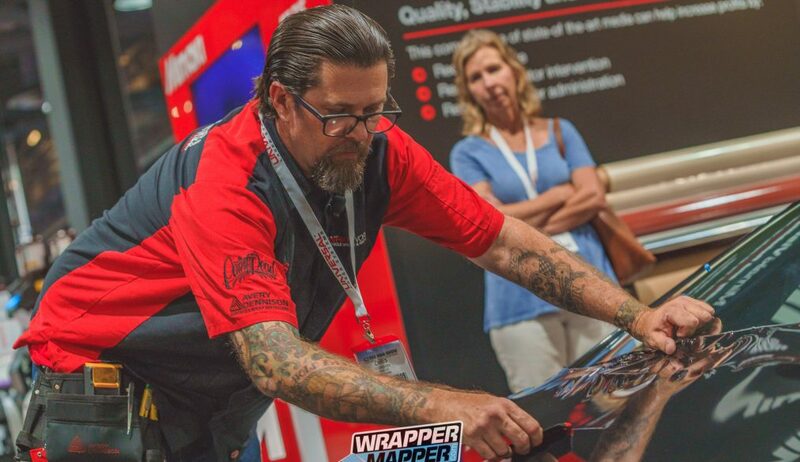 Our recommendation… sign-up for the Sign and Digital Graphics Magazine, make sure you get the WRAPS Magazine heading your way and start making plans for next year’s WRAPSCON.